Canada is celebrating the 150th year of Confederation (1867-2017). Canada has ten provinces and three territories, Newfoundland was the last province to join Canada in 1949. Though Newfoundland had a representative at the conferences that agreed on the confederation in 1867, the representative, the then Premier of Newfoundland, lost the subsequent election to the Anti-confederation party and it took a while for Newfoundland to hold subsequent referendums and join the confederation decades later. 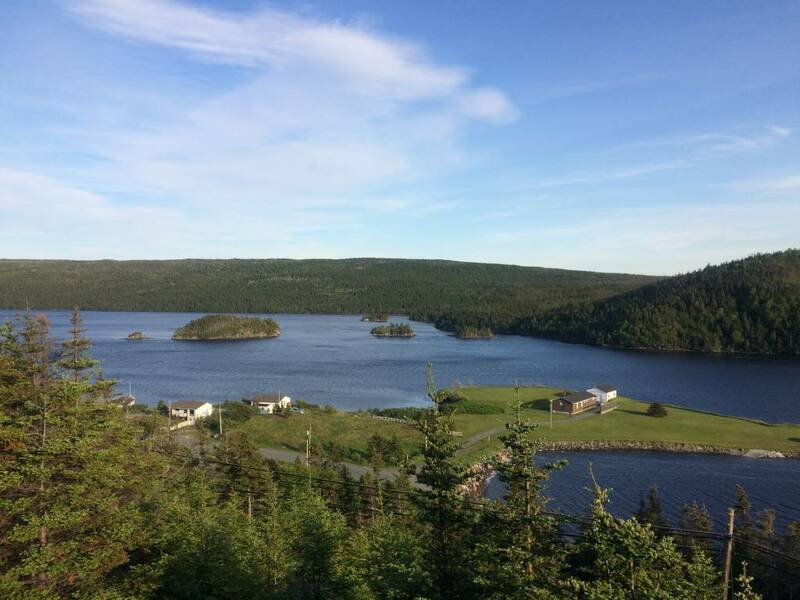 Newfoundland is the easternmost landmass and province of Canada. 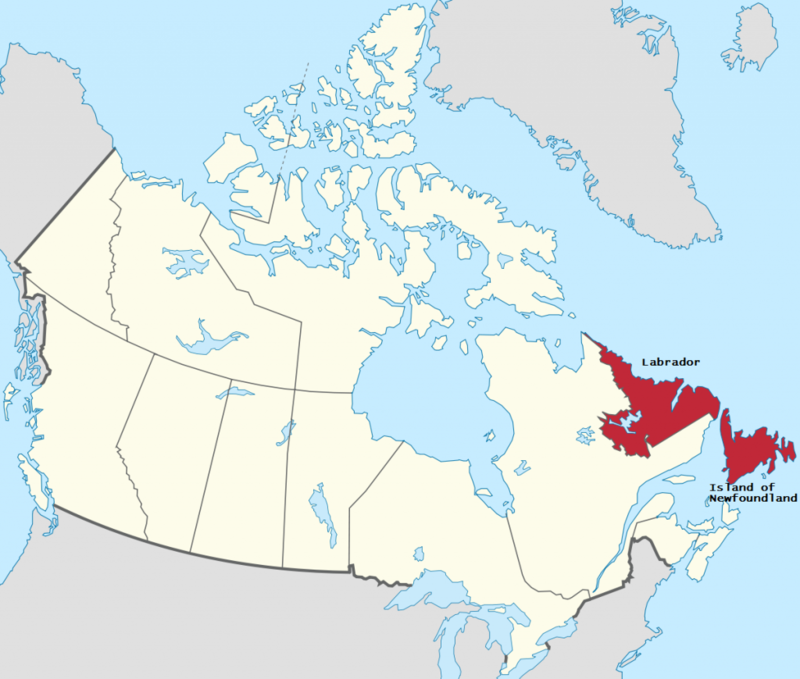 The province comprises of the island of Newfoundland and Labrador. Officially the province is called Newfoundland and Labrador. 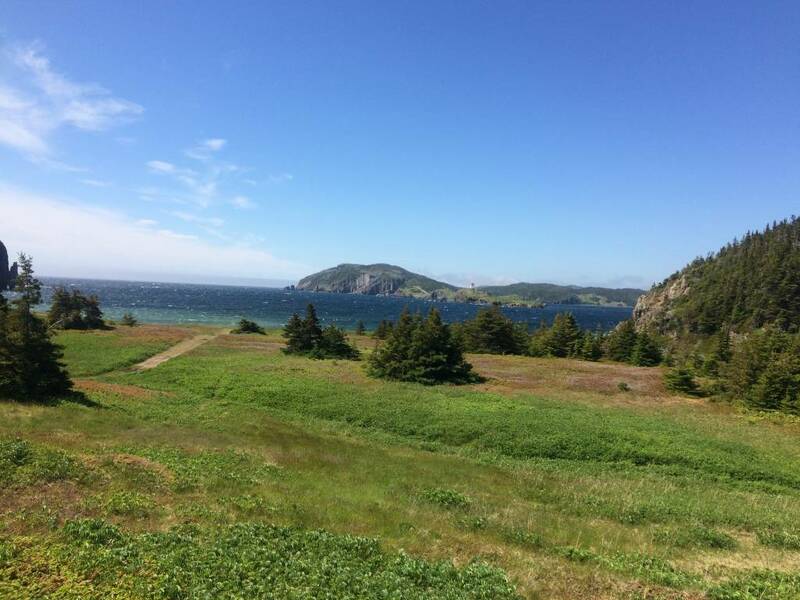 Newfoundland was long inhabited for thousands of years by Maritime Archaic people who lived there around 7000 BC and by the Beothuk, Mi’kmaq people before the Europeans arrived. Vikings arrived to the shores of Newfoundland at around the 11th century AD and subsequently John Cabot, who undertook the first European exploration of the mainland of North America came in 1497. 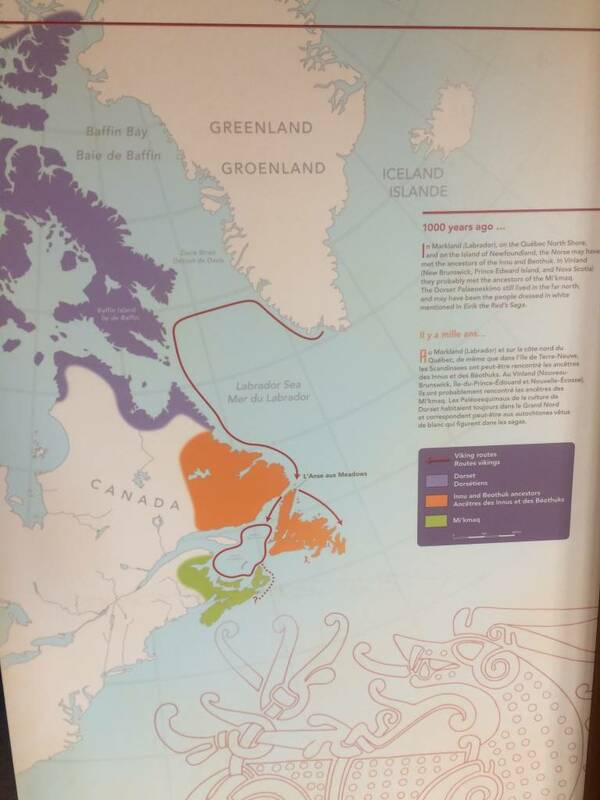 Slowly the British, French, Basques and Portuguese tried to colonize Newfoundland, they were making summer trips and after the summer went back. The abundance of cod fish encouraged them to have permanent settlements instead of summer trips after a century. The British and French fought for about 300 years and finally Newfoundland became a British colony. After a series of European wars, France gave Newfoundland to Great Britain. Newfoundland became an independent dominion within the British Empire and subsequently went bankrupt after the Great economic depression. After World War 2, Newfoundland joined the Canadian confederation. I spent Canada Day at Ottawa and planned to drive all the way to St.John’s, Newfoundland, the easternmost city in Canada but eventually changing my plan flying into Gander instead. I wanted to explore all of Canada by road and I chose Newfoundland and Labrador as my first province. Since it was the easternmost province, I thought I will start from there. Only after finishing my two week Newfoundland trip(I didn’t go to Labrador which I realized would be a separate trip), I realized anyone who would want to discover Canada or North America and know about the Archaic people, Beothuk, Mi’kmaq, Vikings, European settlements and the voyages to the New world, the geological history of the earth, have no better place to start than Newfoundland. 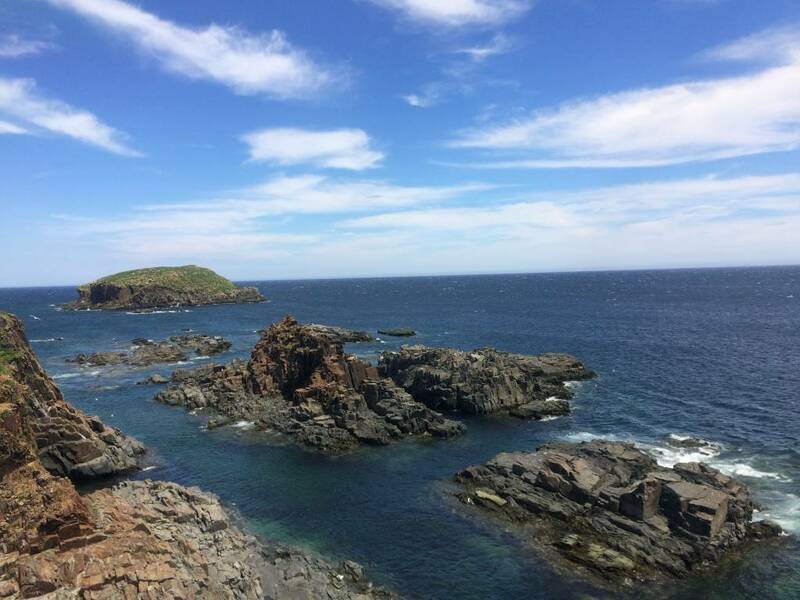 Newfoundland not only has a historical significance but also has a geological significance. 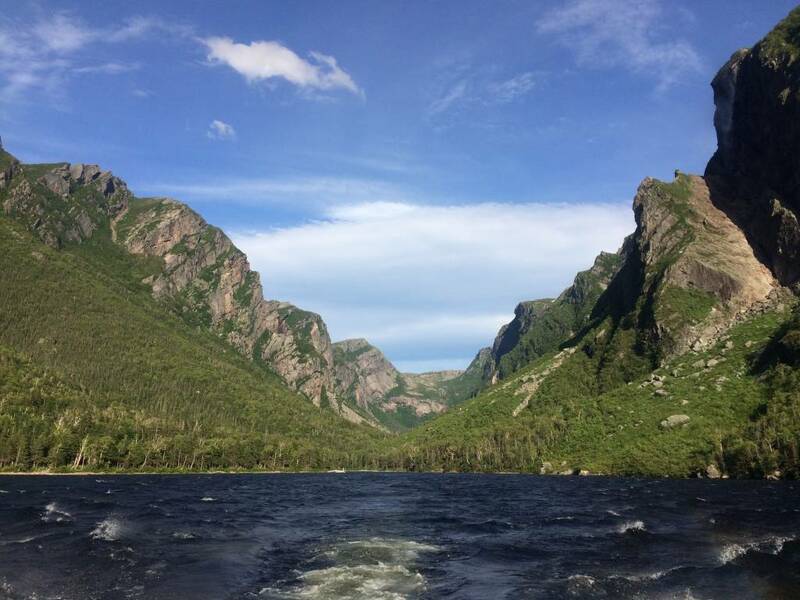 The Gros Morne National Park is a real geological wonder. Gander is the first airport that any aircraft that comes from Europe will pass-by in North America. Gander, once a fuel stop for decades in the 1940s and 1950s, all aircrafts had to stop in Gander before taking the transatlantic journey to Europe. Gander also played a crucial role in World War 2. During the September 11, 2001 attacks when the US airspace was closed and many aircraft which was mid air across the Atlantic from Europe during the crises landed in Gander in an operation by the Canadian government called Operation Yellow Ribbon. 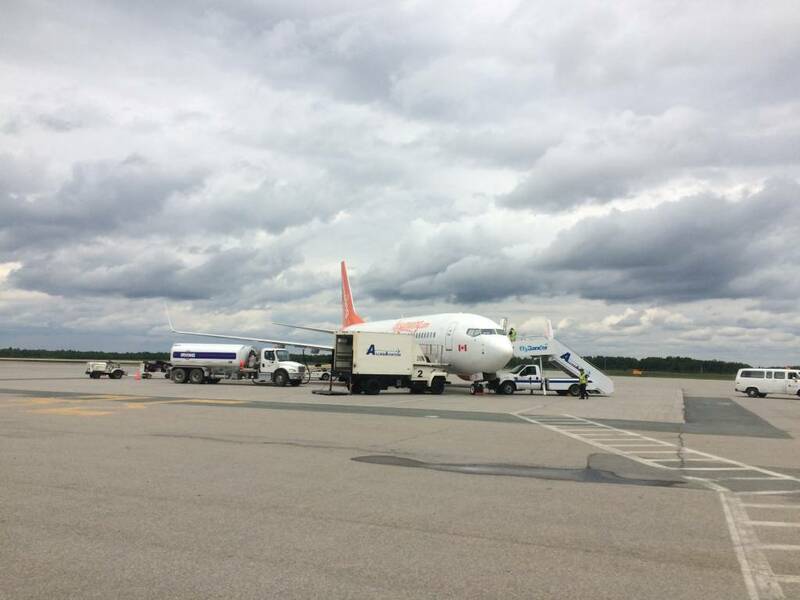 Now Gander is not the same busy airport as jet aircraft can fly without fuel stops and technological advancement has changed the fate of this once busy airport. There is only one gate, one terminal and pretty much one aircraft at any given time. Landing in Gander, one of the mid points of Newfoundland, I had to go east and comeback west for my trip. 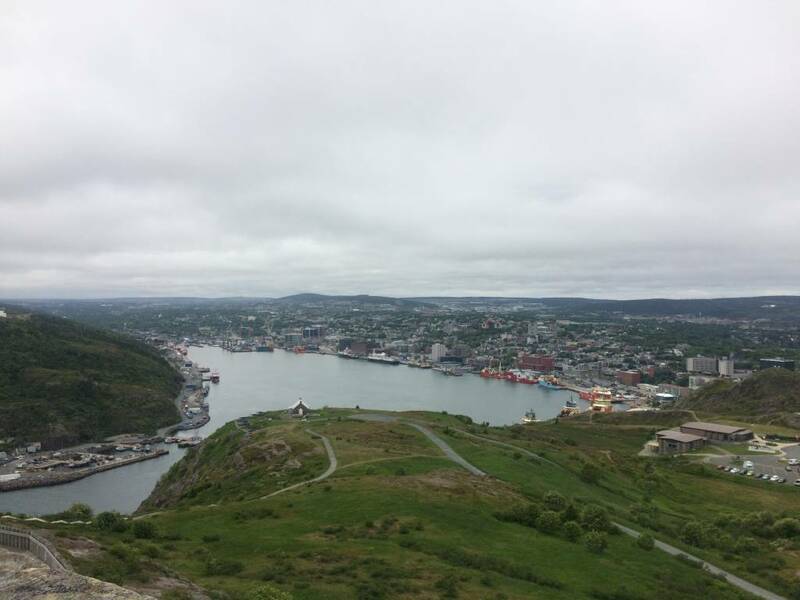 St.John’s is the largest city in Newfoundland and a very beautiful city. 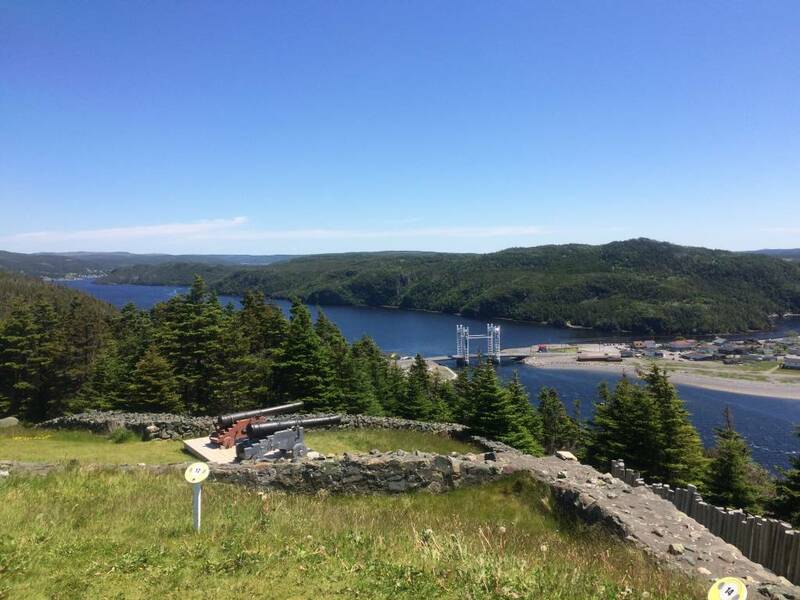 Signal Hill is a fort on top of the nearby hill where the English sailors were stationed. When the British and French were fighting, St.John’s was the capital of the British forces here. There are many fishing villages and coves nearby. 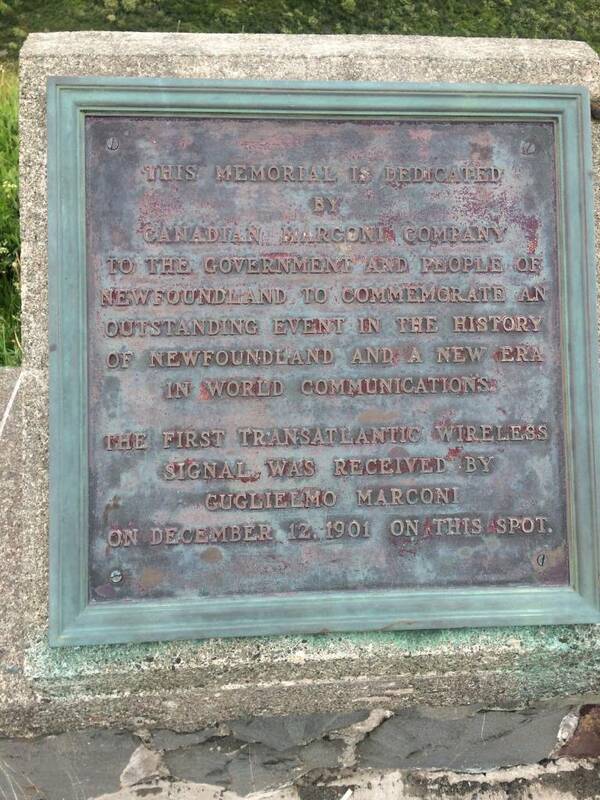 Marconi received the first transatlantic wireless signal from Signal Hill and it was sent from the UK. 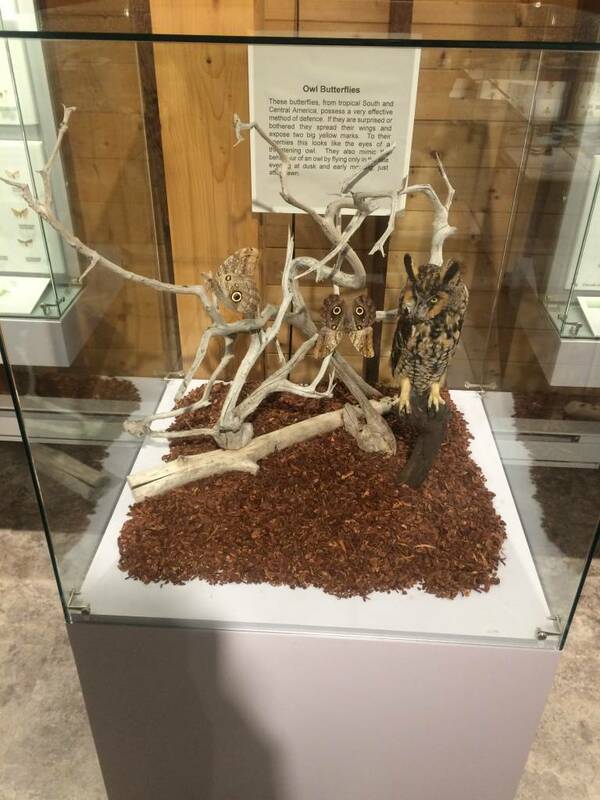 There is a small exhibit that outlines the difficulty faced by him before and after the signals were received. Since this was a technological disruptor, and back then there were transatlantic cable companies that had a monopoly in trans-atlantic communications Marconi faced criticism from those companies and subsequently he had to move to Nova Scotia and Prince Edward Island. No wonder those companies went bankrupt years later. 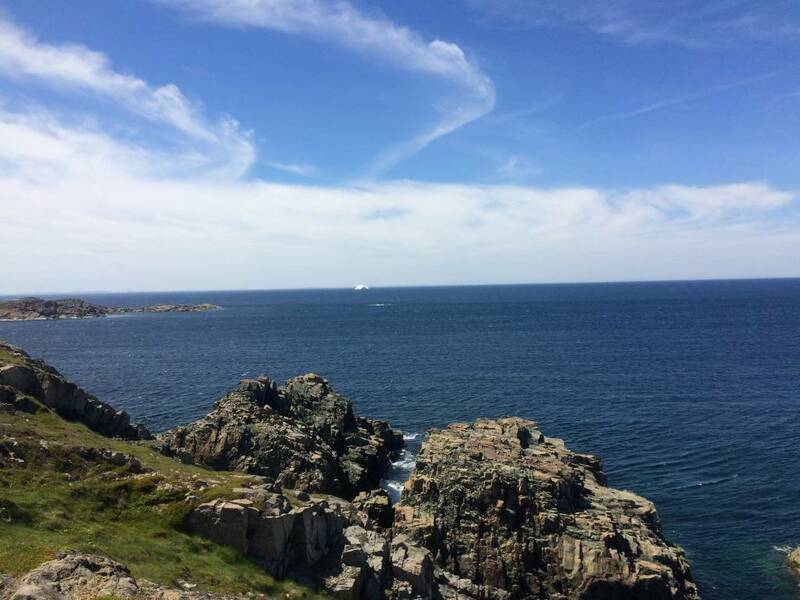 This is the easternmost point of North America and there is a light house, artifacts that describe the life of the light keepers who worked in the lighthouse. 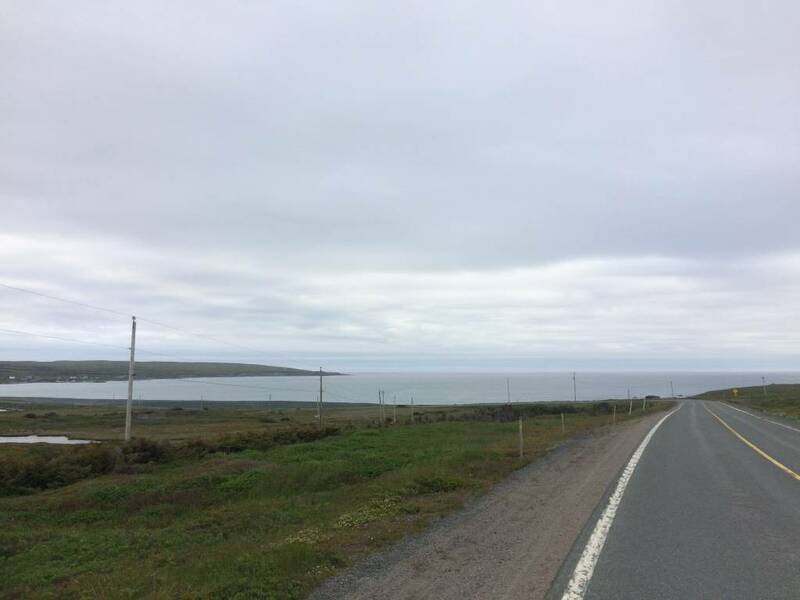 This is the highway south/west of St.John’s and goes all the way to Cape Race. Cape Race has a lighthouse and its one of the places that received distress signals from the Titanic in 1912 just after it hit the iceberg. 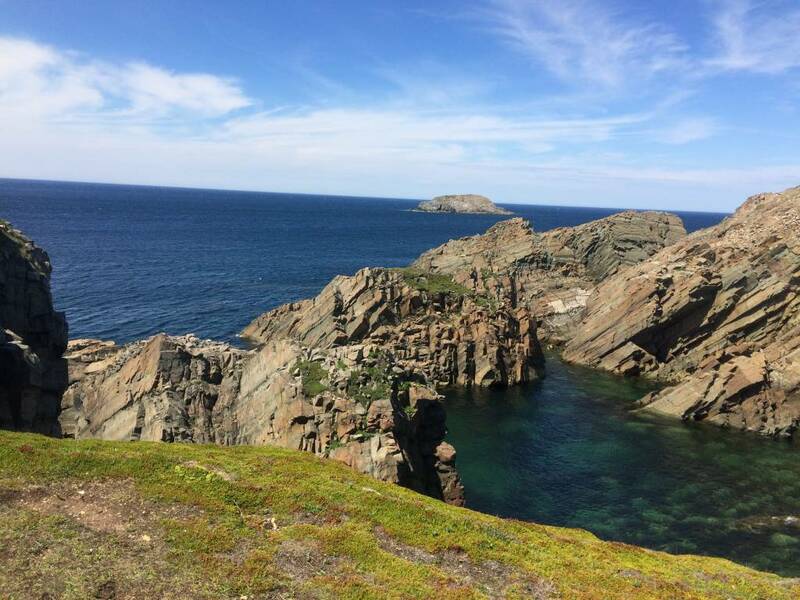 There is a nearby ecological reserve called Mistaken Point, a UNESCO world heritage site where there are fossils which are 500 million years old. 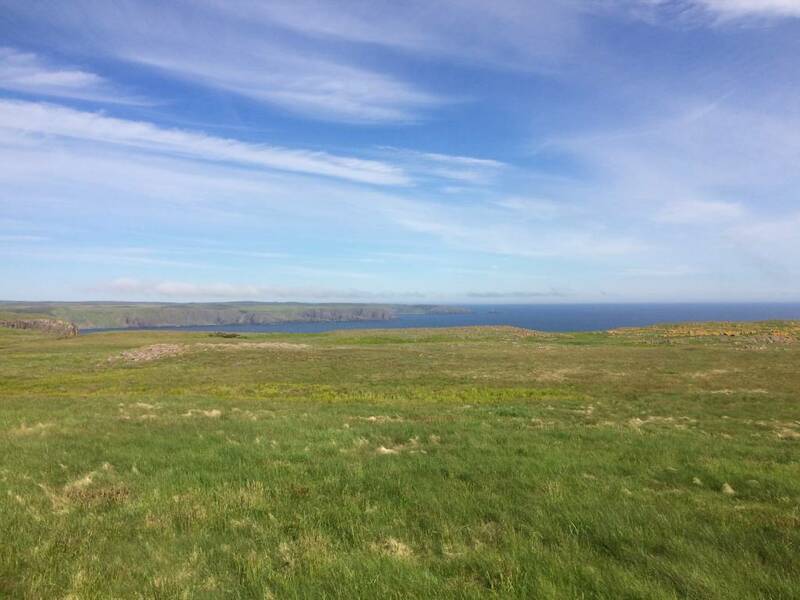 The whole drive signifies the Irish culture along the small fishing villages and people living in these villages have Irish descent. Plaisance as it was called by French was their capital for their North American territories. This beautiful city was long a fishing ground for Basques since the early 16th century. (ethnic indigenous people who live in the Basque country in France and Spain). A Basque fisherman wrote a will back then when he died which is termed as the first written civil document in Canada and the new world. Since Basques pledged their allegiance to the French kings, France slowly gained this city and Placentia was made their capital under King Louis XIV, the Sun King. 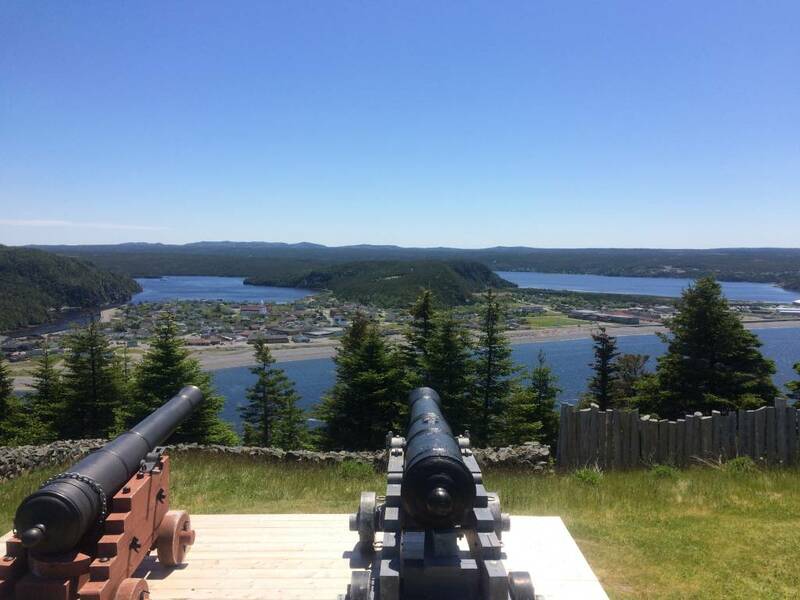 Castle Hill is a national historic site and it overlooks the city of Placentia and the Atlantic. The fort was built keeping in mind the ever present threat of an English invasion. The guns in the fort are positioned to avoid blind spots and secure the rich fishing grounds. There were extensive cod fishing operations including salting and drying facilities in Placentia. The English would attack them from St.John’s as both English and French fought for Newfoundland for almost 3 centuries. 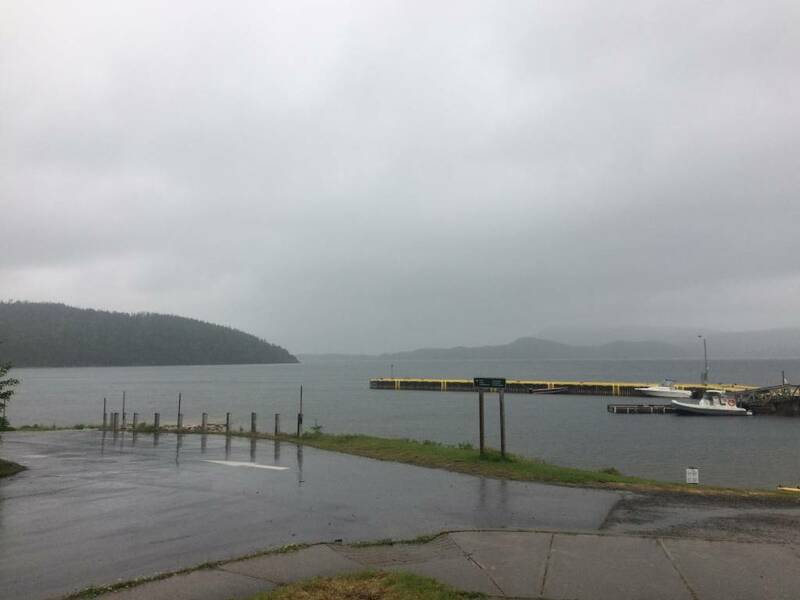 Near Placentia, there is a city called Argentia which is one of the ferry ports for Nova Scotia. Argentia also had significance during World War 2 since this is the place where Winston Churchill and Franklin D Roosevelt met and signed the Atlantic Charter in 1941. 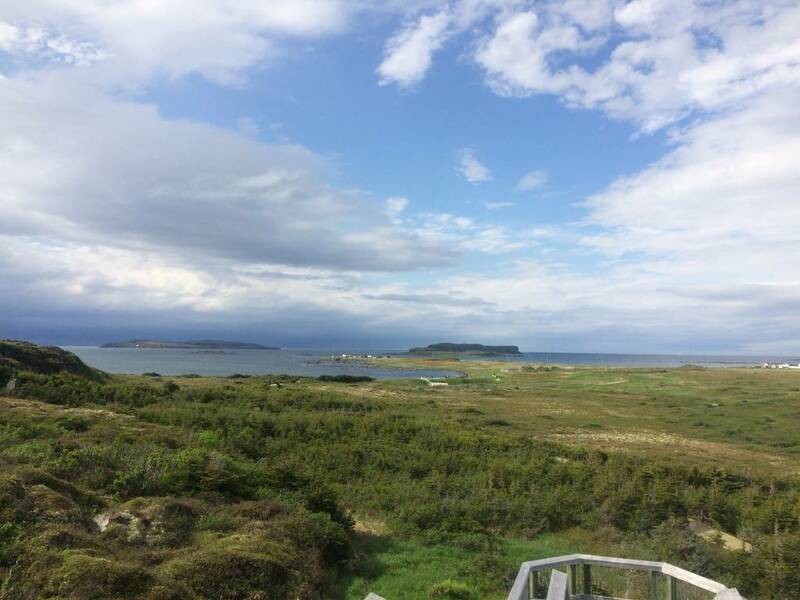 Adjacent to this peninsula there is Saint Pierre and Miquelon islands, a self-governing territorial overseas collectivity of France, the only part of French North America that still remains under French control. 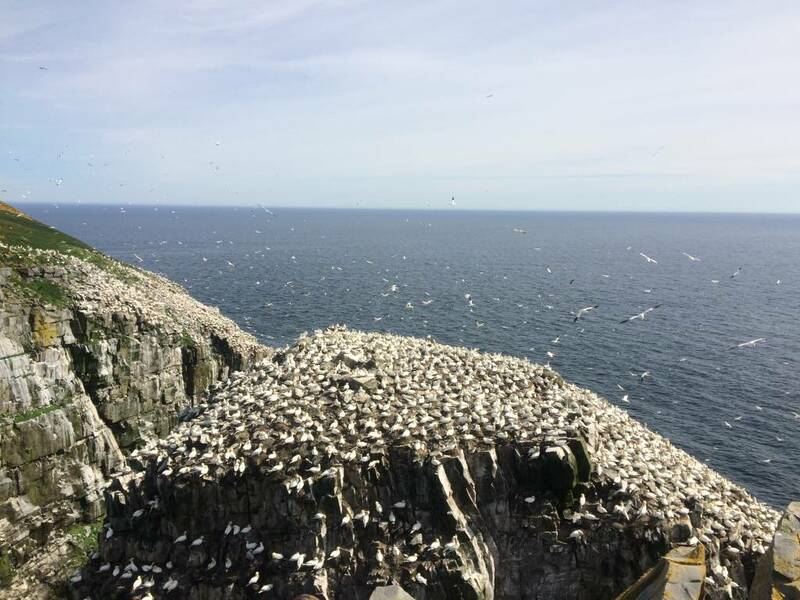 About a two hours drive from Placentia, Cape St.Mary’s is one of the most spectacular seabird colonies in North America. 70,000 seabirds and whales call this place home. We can walk very closely and watch them for hours.There are Gannets, Murres, Kittiwakes, Razorbills, Guillemots and Cormorants in thousands. 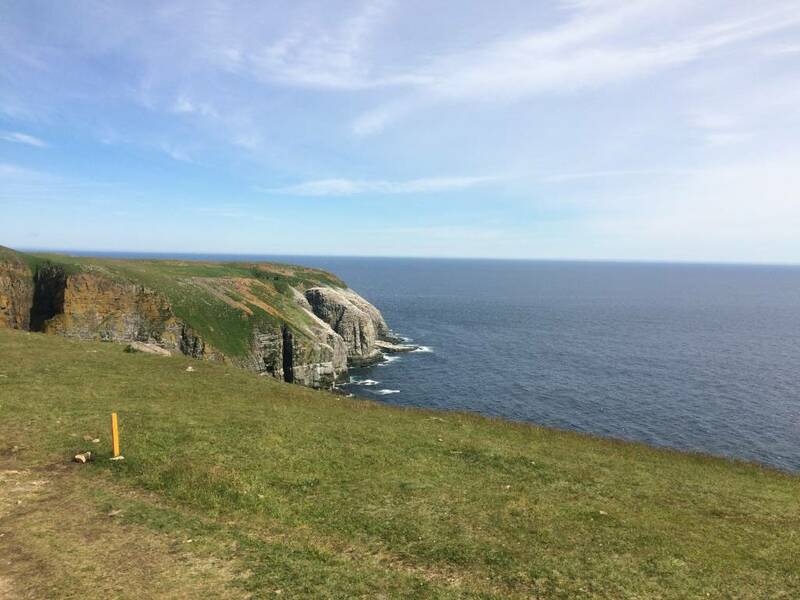 The Skerwink Trail loop skirts the north and south coasts of Skerwink Head, a rocky peninsula near Trinity and is a small trail which has beautiful ocean views. 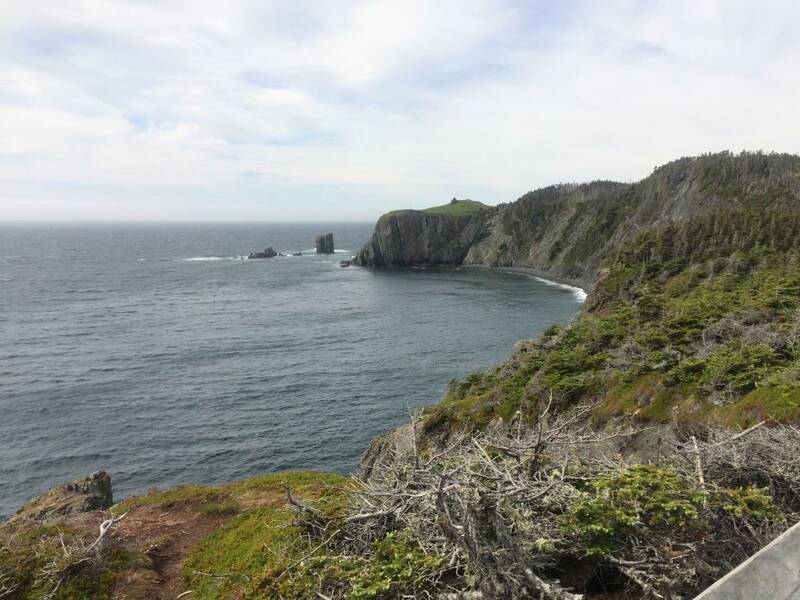 The trail passes through sea stacks, ancient sedimentary rocks and sea caves. 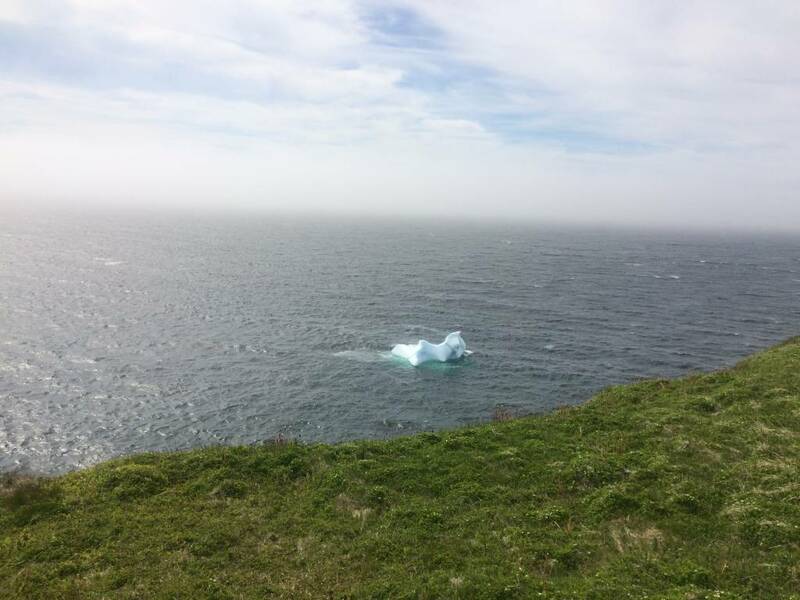 The trail also had views of few floating icebergs nearby in the ocean. A fellow traveler who was at the same spot few days later after me was able to see humpback whales and she posted in facebook. I heard from locals that whales follow capelins and reach the shores near the trail. Trinity viewed from the Skerwink Trail. 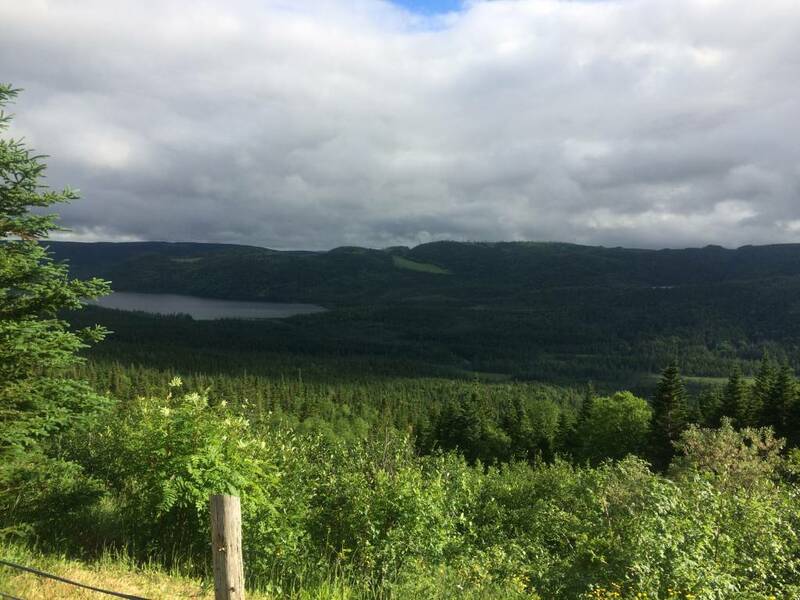 Trinity is a picturesque village and the nearby villages of Bonaventure/New Bonaventure have a long history. 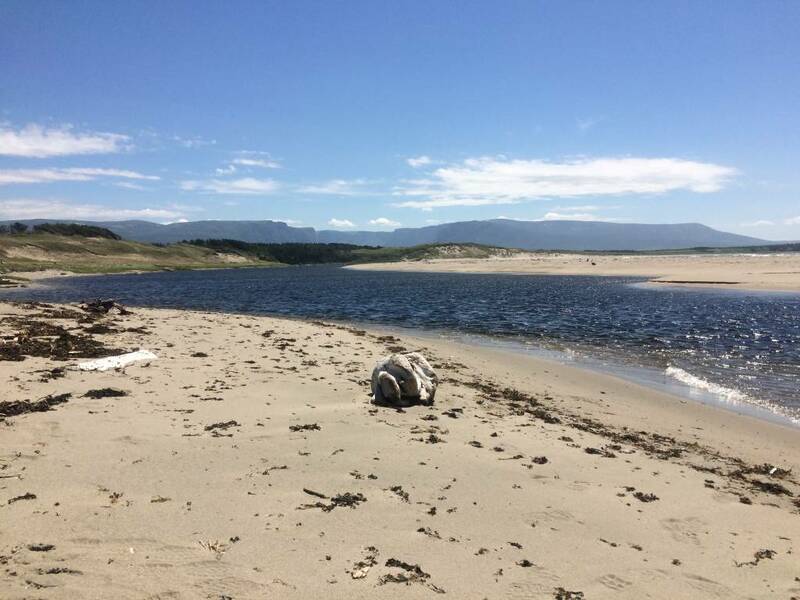 There is a movie set which was used for the TV series Random Passage – which depicted the life in the Newfoundland outports. 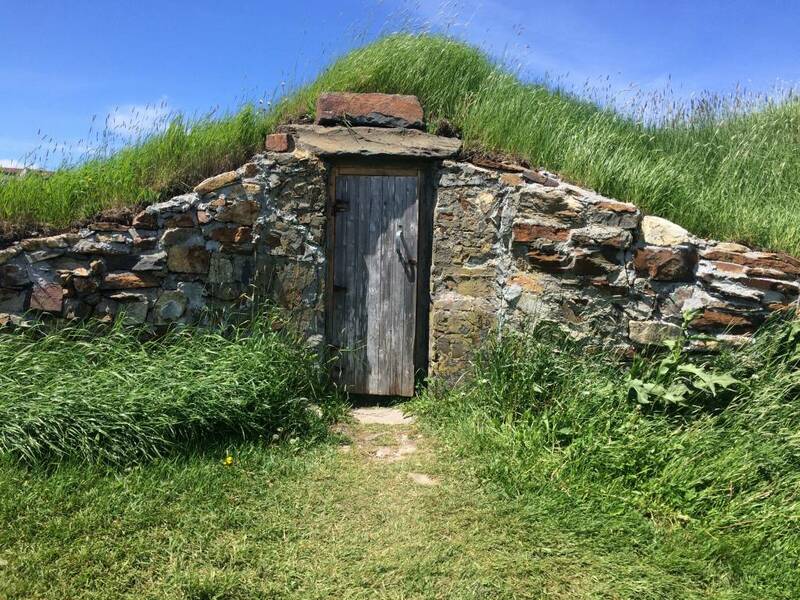 Elliston is a small village near Trinity and is called the Rootcellar capital of the world and has a Puffin viewing site. Atlantic Puffin, a seabird is the provincial bird of Newfoundland. Rootcellars were found in different parts of the village and they were used to store vegetables and other food material. 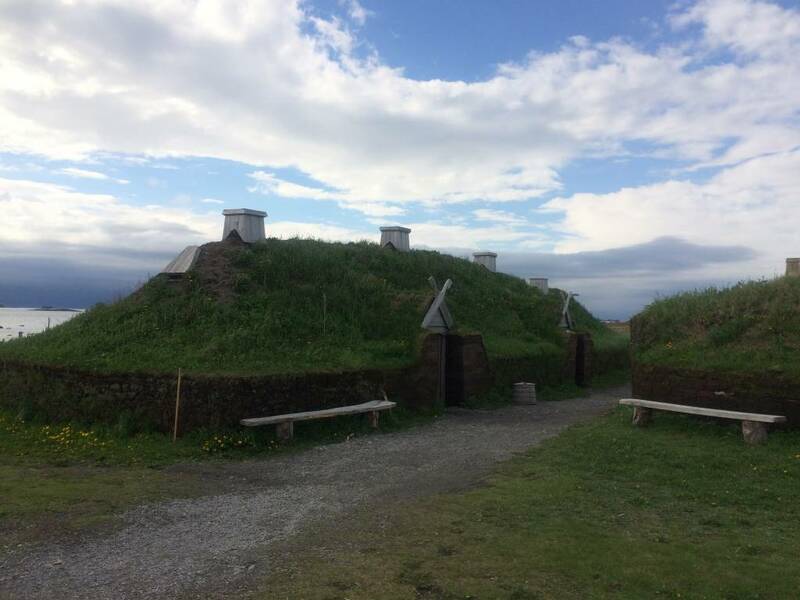 Newfoundland known for the harsh winters, the rootcellars played an important role in the life of people in these villages for centuries as they were unable to fish during winters and were dependent on stored food during many months. 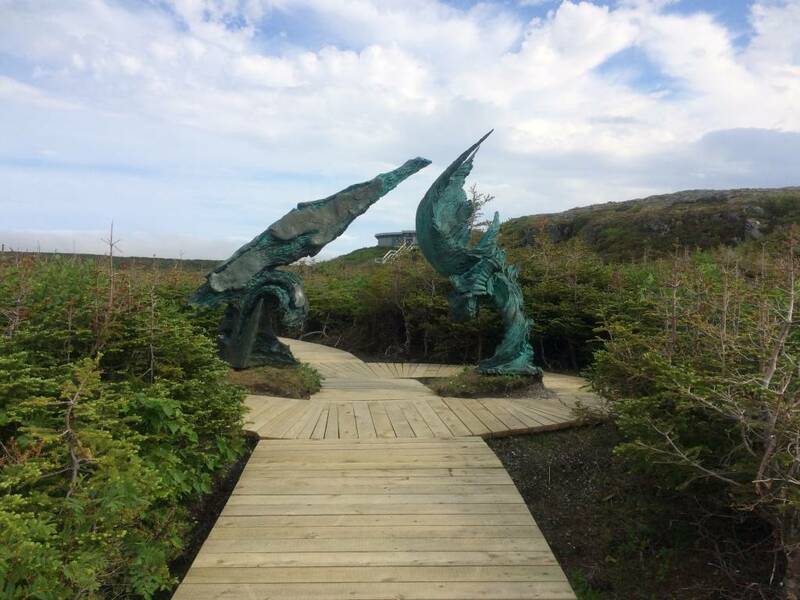 Bonavista is believed to be the place where John Cabot first landed in North America in 1497. 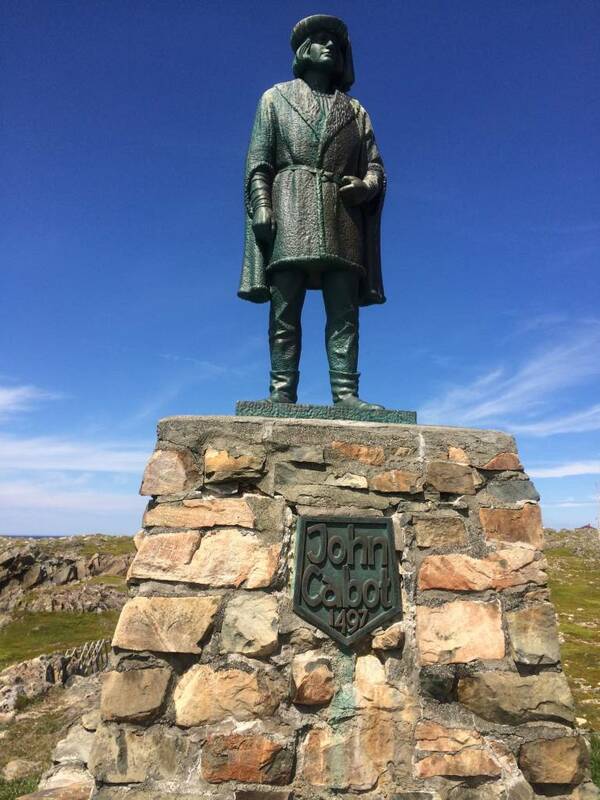 John Cabot was sent in a ship, The Matthew and he landed in Cape Bonavista. After landing here he wrote “the sea there is full of fish that can be taken not only with nets but with fishing-baskets”. John Cabot returned to England and made subsequent voyages. 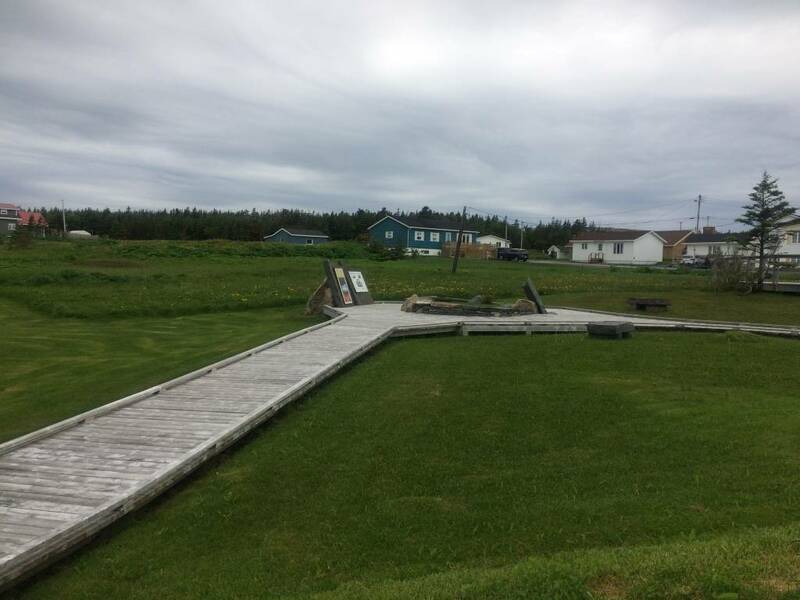 Bonavista also was a fishing center and has Ryan Premises, A National historic site. The Ryan premises was once a family business operation which shutdown in the 1980s and was primarily a cod fishing operation. 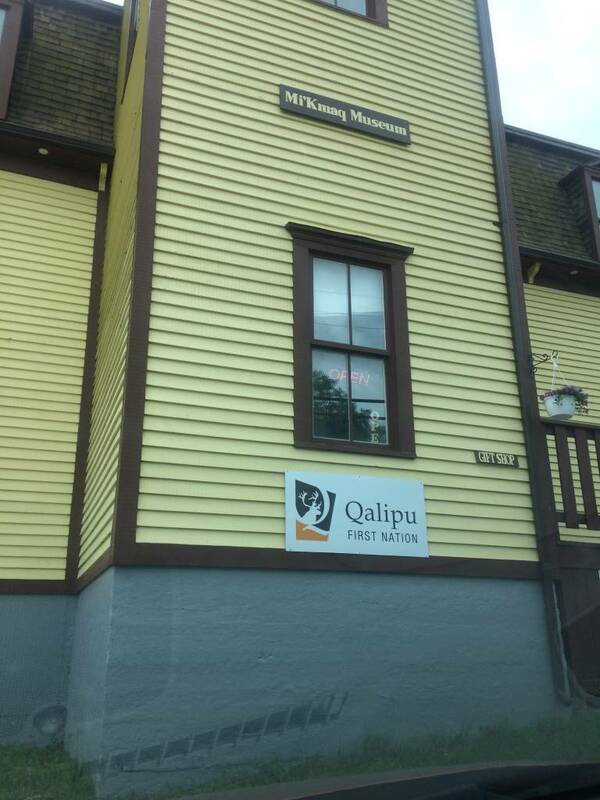 There is a small museum which explains in detail about the history of cod fisheries. Cod fishing was one of the prime reasons for colonizing Newfoundland, after 500 years of fishing the cod, the resources have depleted and the Government of Canada in 1992 has put a moratorium on cod fishing. Now there are significant limitations on cod fishing which changed the life of fisherman and the local economy. Still this is a debatable subject and I spoke with few fisherman who seemed to have had a tough life because of the restrictions and their inability to gain new ways of making a livelihood. The museum also describes the life of fisherman, the credit systems they had and how merchants controlled the lives of fisherman by lending them supplies and getting the rights for all the fish they bring etc. The fisherman and their families have struggled for generations till the merchant lending cartels were broken. Terra Nova National Park is one of the two National Parks in the island of Newfoundland. There is a marine station within the park where they showcase an aquarium. There are many hiking and camping sites within the park. Abundant wildlife and birds call this park home. 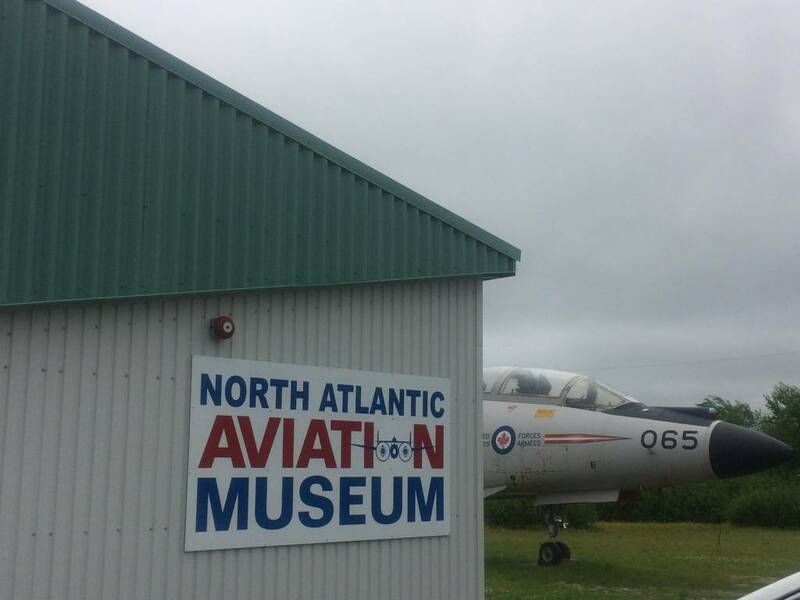 The North Atlantic Aviation museum showcases the history of Gander and aviation in general. Gander once was called Cross roads of the world, The First trans Atlantic flight happened from Gander and the First flight simulator are all shown here. Gander was also a stop for all flights in pre-jet era as mentioned earlier. Gander played a significant role in WW2 and Operation yellow ribbon during 9/11. A steel bar from the twin towers is kept in the museum to commemorate the role Gander played during the crisis. The museum also has artifacts, log books from early flights, history of aviation etc. 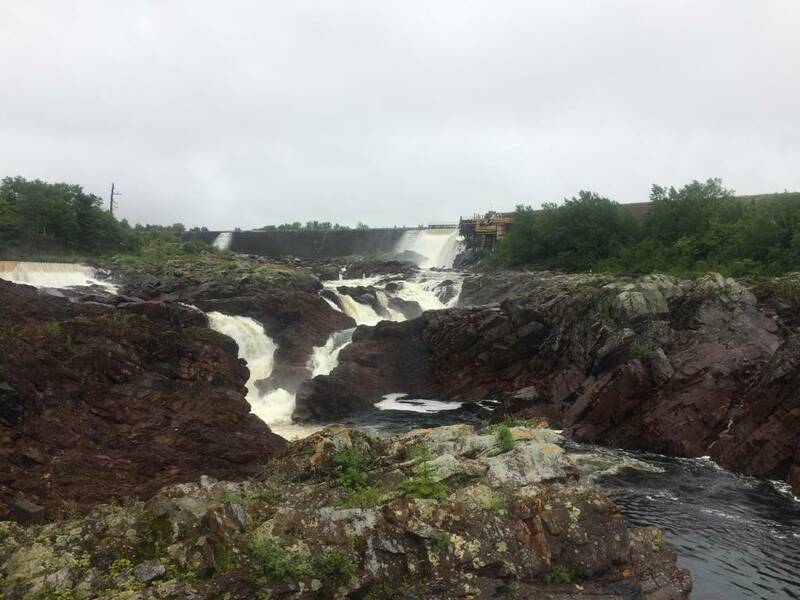 The Salmon Enhancement on the Exploits River is the largest of its kind in North American and its near the city of Grand Falls-Windsor. 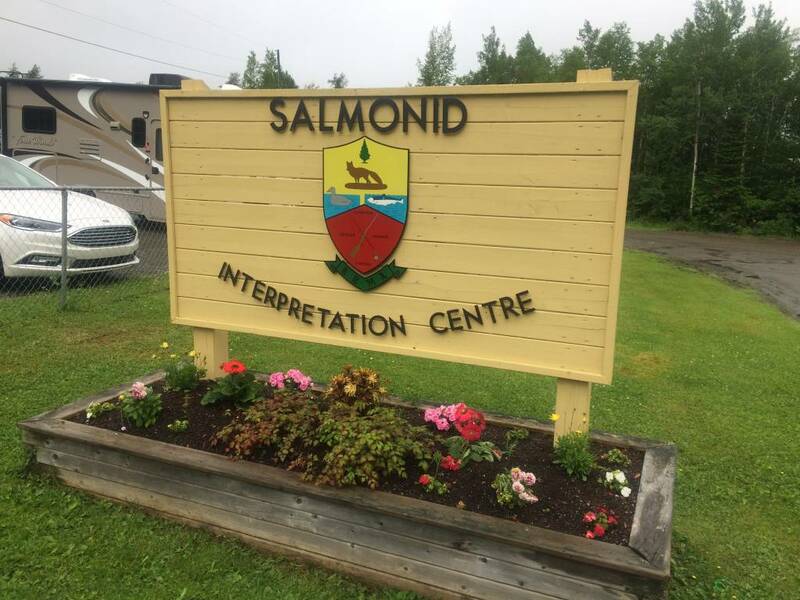 The Salmonid interpretation centre, located on the Exploits River has exhibits on the history, ecology and habitat of the Atlantic Salmon. Visitors can view the salmon through underwater windows as it travels upstream to the spawning habitat and take in the view of the Falls and nesting Seagulls. Young Atlantic Salmon spend one to four years in their rivers that flow into the Atlantic. They undergo, Smoltification (a series of physiological changes where a juvenile salmon adapts from living in fresh water to living in seawater) and reach the Atlantic. After they have had a year of good growth, they will move to the sea surface currents that transport them back to their natal river. When they reach their natal river they find it by smell and less than 2% of Atlantic salmon go up the wrong river. Since the salmon has to live in the river, then go to sea and come back to the river to breed again, Hydro projects cannot be built. If the projects are built it will wipe out the salmon population. The real challenge is the question between need for electricity or saving salmon species. 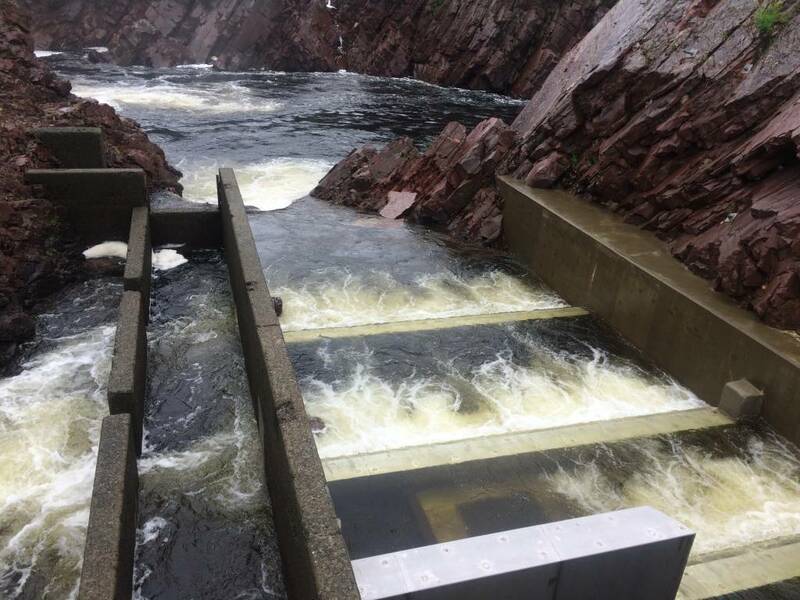 This center showcases the artificial fish-ways created that bypasses the hydro dam and makes sure the fish can swim upstream without being stuck at the turbines. This creates a sustainable path for both the salmon and the need for hydro electricity. 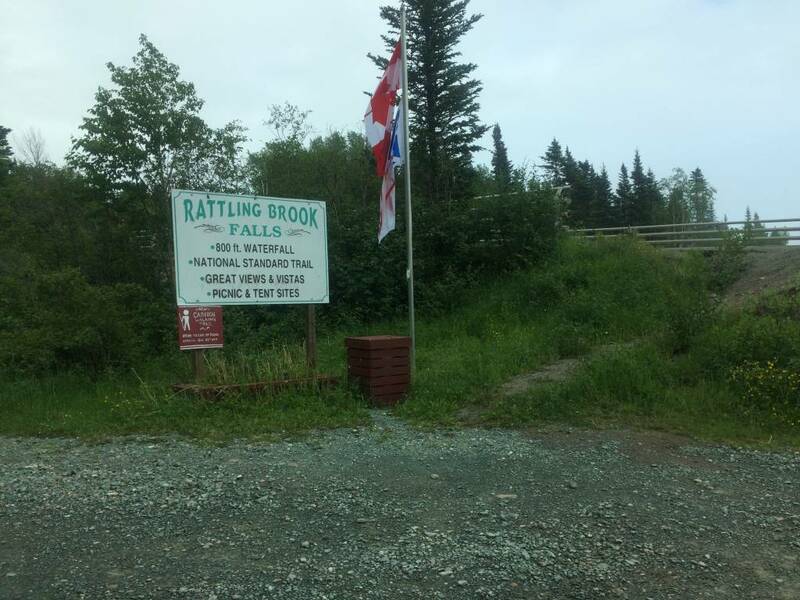 Rattling Brook falls is just a short drive north of Trans canada highway and an hour west of Grand Falls – Windsor. 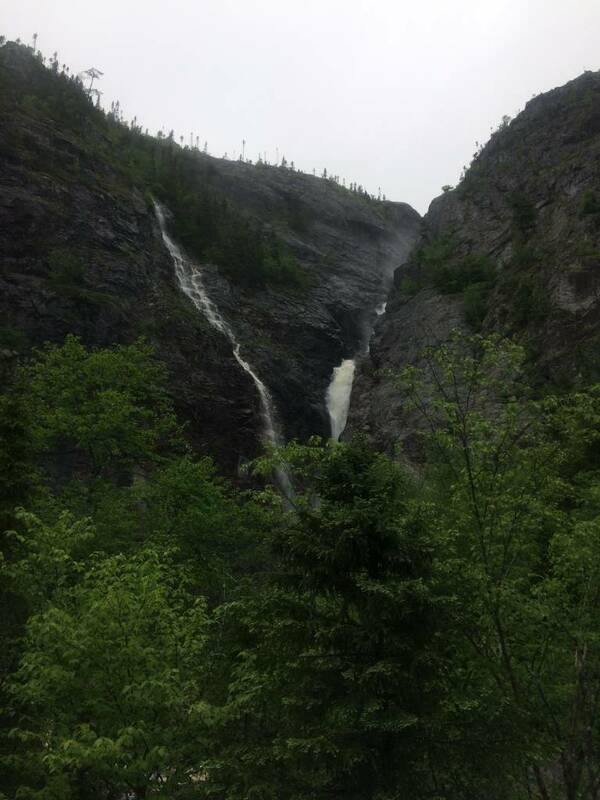 The beautiful falls is a short hike and was a private and secluded place. The water flows down as a stream and the path towards the falls passes along the path of the stream. The villages near the falls are beautiful and are all fishing communities. 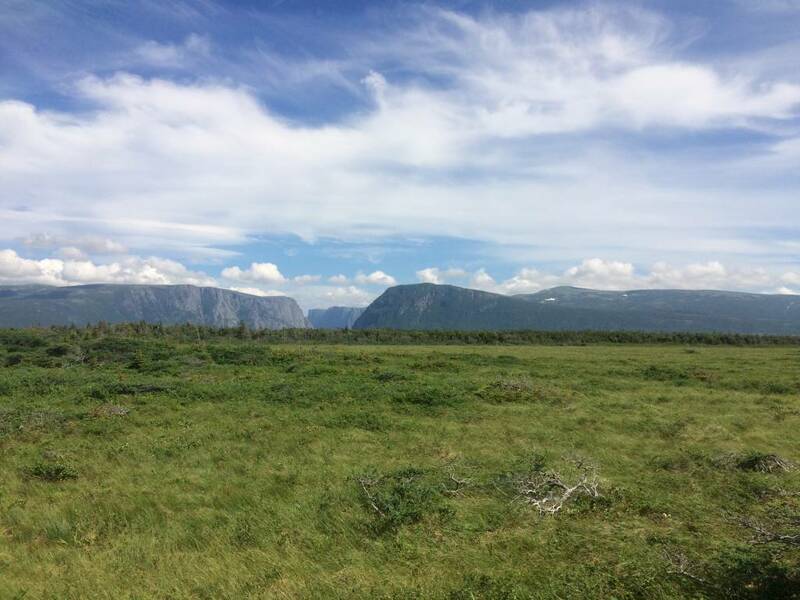 Gros Morne National Park is in the western coast of the island of Newfoundland. 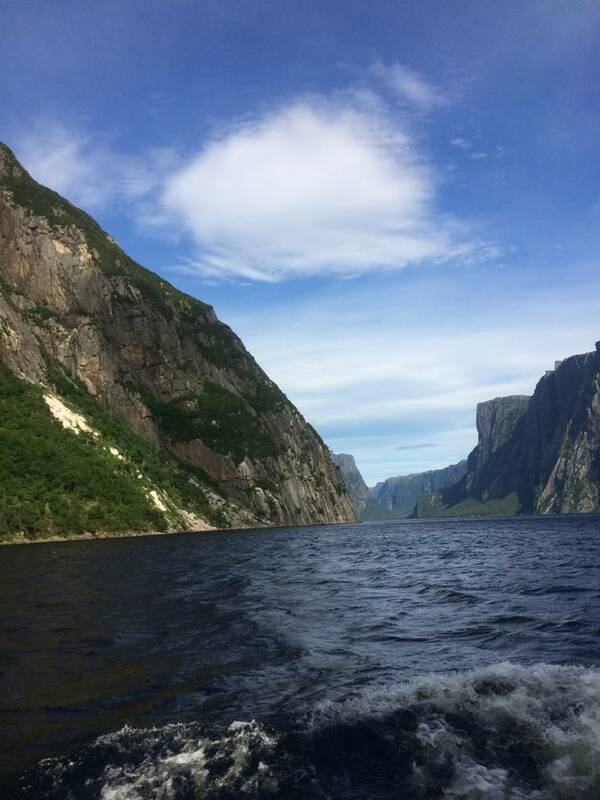 Gros Morne is also a UNESCO World Heritage Site. 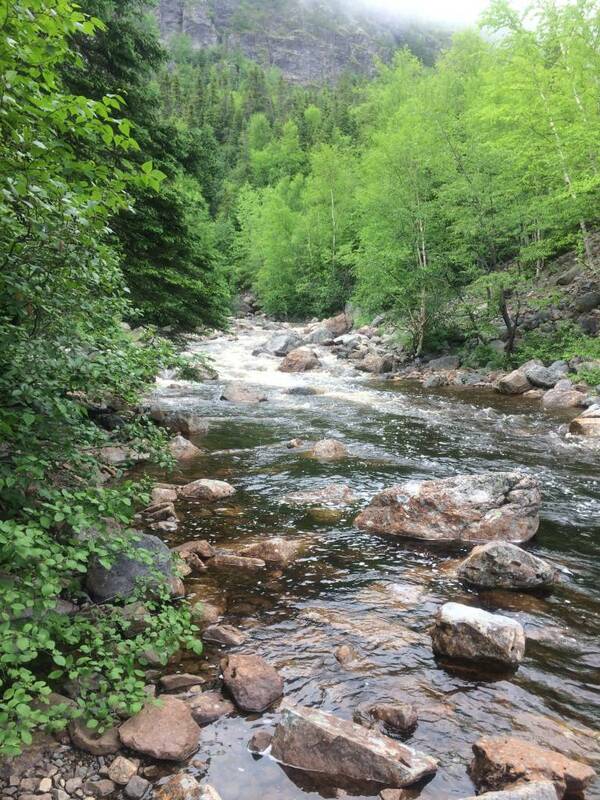 This beautiful park has a lot of hiking trails, water falls, brooks and ponds. 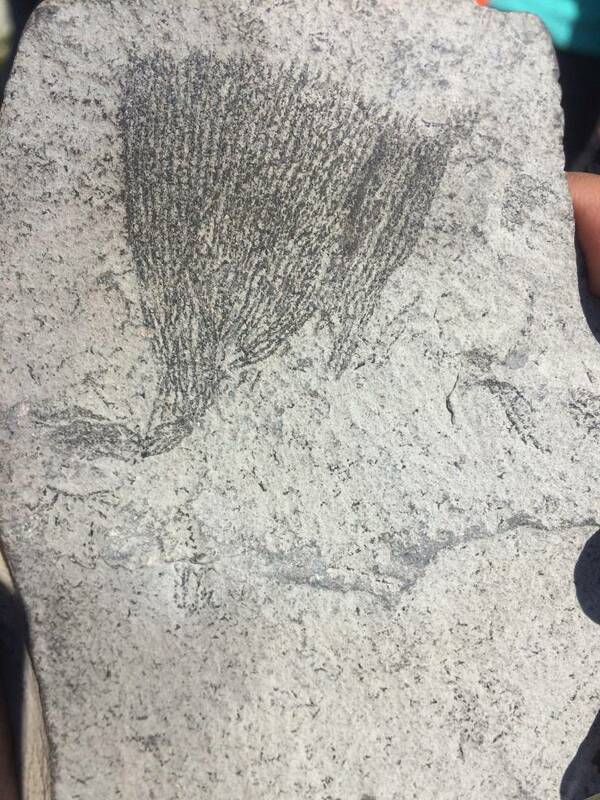 There are fossils and rocks that are 500+ million years old, arches, Tablelands where we can see earth’s mantle. 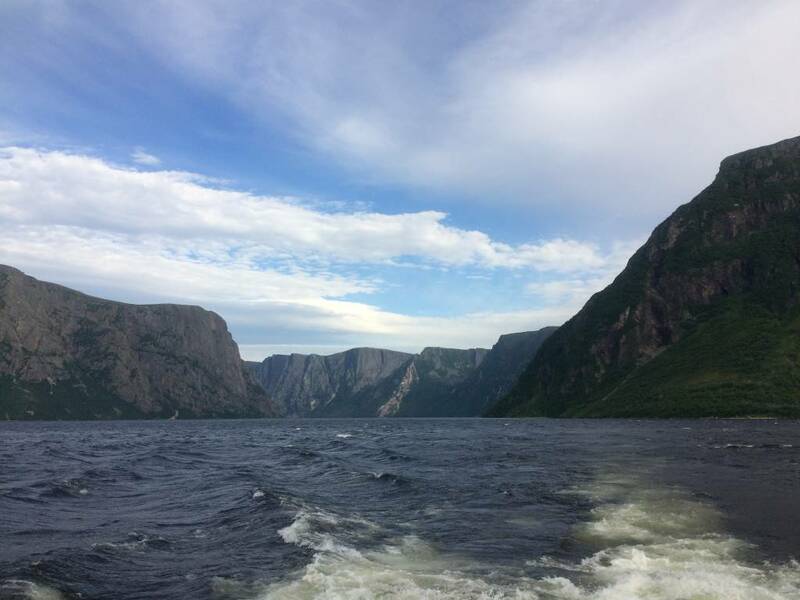 Gros Morne qualified as UNESCO world heritage for its exceptional beauty, examples representing major stages of earth’s history. Bones of the Earth – Audio podcast (http://www.cbc.ca/player/play/2262995199) – Plate tectonics was a revolutionary scientific theory that shook our understanding of the planet. Chris Brookes and Paolo Pietropaolo take us to Newfoundland’s Gros Morne National Park, the site of one of the world’s best illustrations of plate tectonics in action. 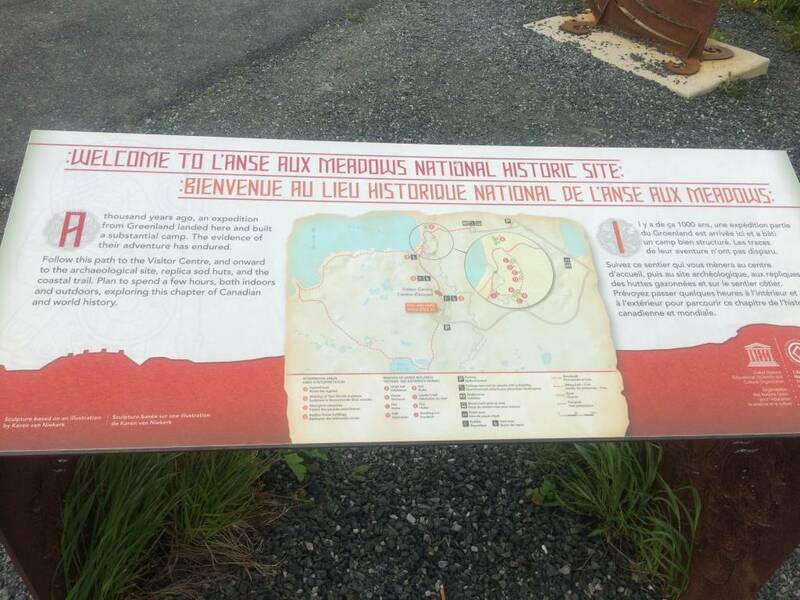 The highway from Deer Lake, Newfoundland till the Viking landing site of L’Anse aux Meadows is called the Viking loop and it has villages, national and provincial parks and two UNESCO world heritage sites( Gros Morne and L’Anse aux Meadows). 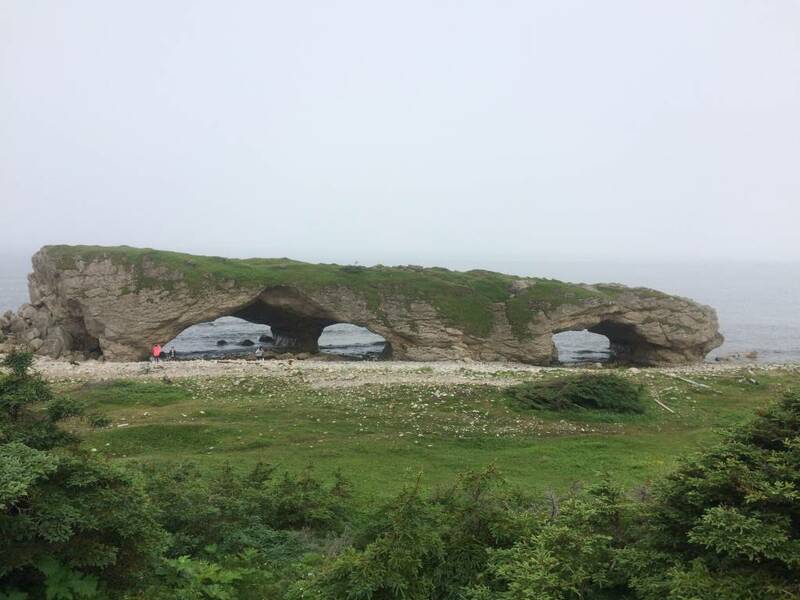 The Arches provincial park is just a short drive north of Gros Morne National Park and in the Viking loop showing the Arches formed after Glacier melting. People from four ancient cultures lived at Port au Choix – Maritime Archaic, Dorset, Paleoeskimos and Beothuk. 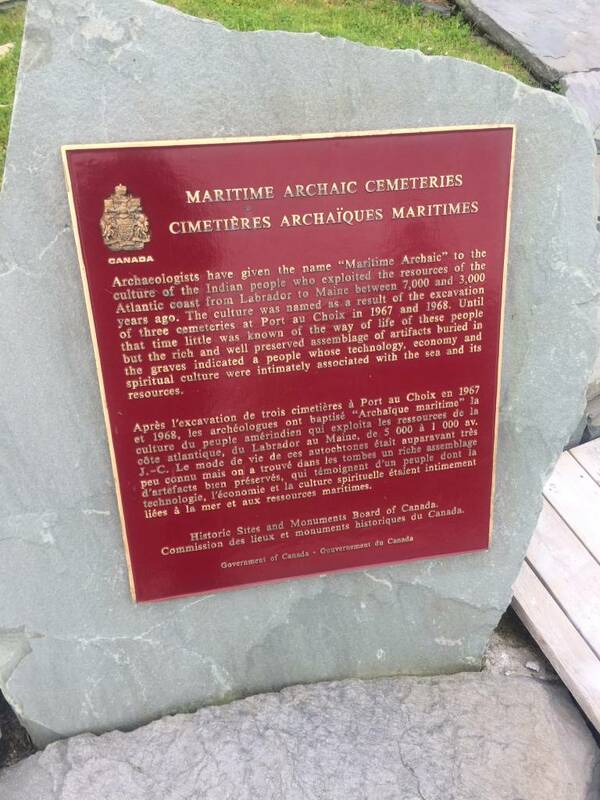 Maritime Archaic people traveled to Port au Choix peninsula to bury their dead after their rituals.The burial grounds were excavated and are known to have been almost a 7000 years ago. 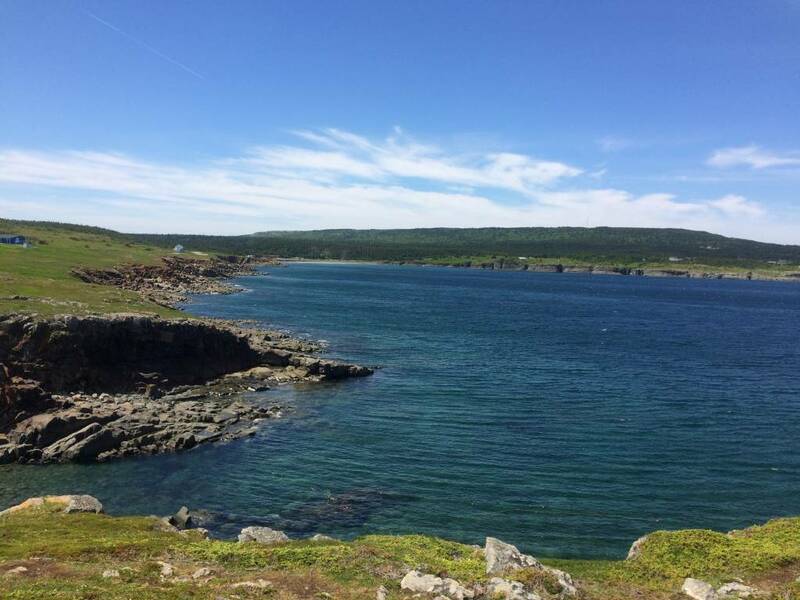 Dorset and Paleoeskimos used this place as a hunting ground to hunt sea mammals.Port au Choix is a national historic site and has coastal trials which pass though the sea coasts traveled by these people. 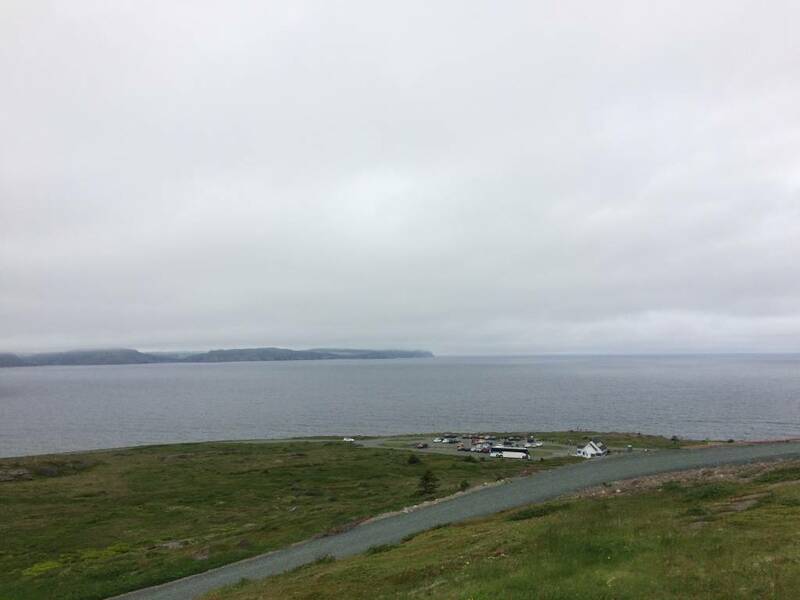 A 1000 years ago, a Norse expedition from Greenland landed on this peninsula in Newfoundland. The Vikings were looking for hardwood lumber. This put them in contact with the ancient people who already lived there the Innu, Beothuk and Mi’kmaq. The vikings after spending few years constructed quarters for the sailors, made temporary settlements, repaired their boats and eventually went back to Greenland. As a UNESCO world heritage site, its significant for worldwide movements of people. The vikings didnt establish permanent settlements and they didnt get along well with the residents of the area. They tried to establish contact and trade but it looks like the trade didnt go well. They eventually burned down all the construction they did and destroyed their presence and left Newfoundland. 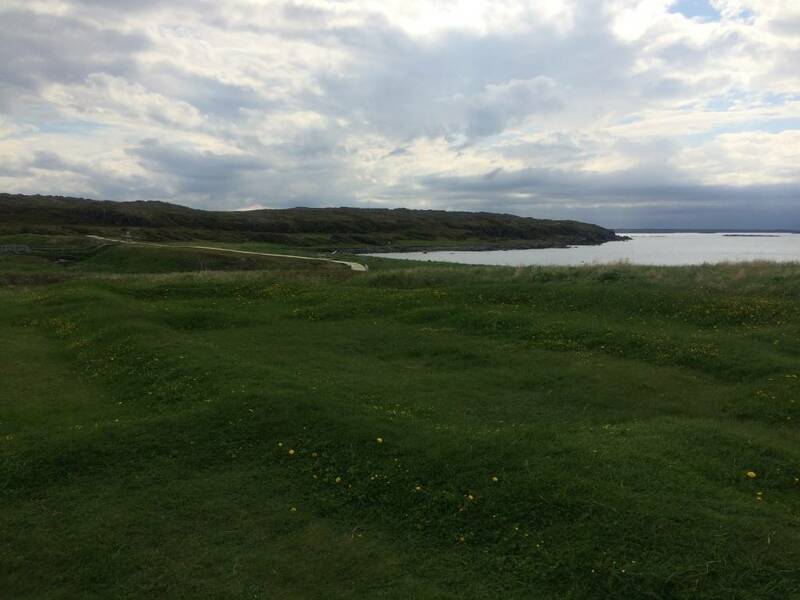 In the late 1960s archaeologists looking for Viking landings excavated this area and found articles that belonged to the Vikings and also remains of their burned/destroyed buildings. The Parks Canada guide who was an elderly gentleman as he walked us through the site, said he was a local resident and was a teenager when the excavation happened in the 1960s. He shared many memories when archaeologists where uncovering the sites and how he was playing in the same area grazing cows etc. The artifacts uncovered were significant and proved the landings which eventually led UNESCO to designate this site. 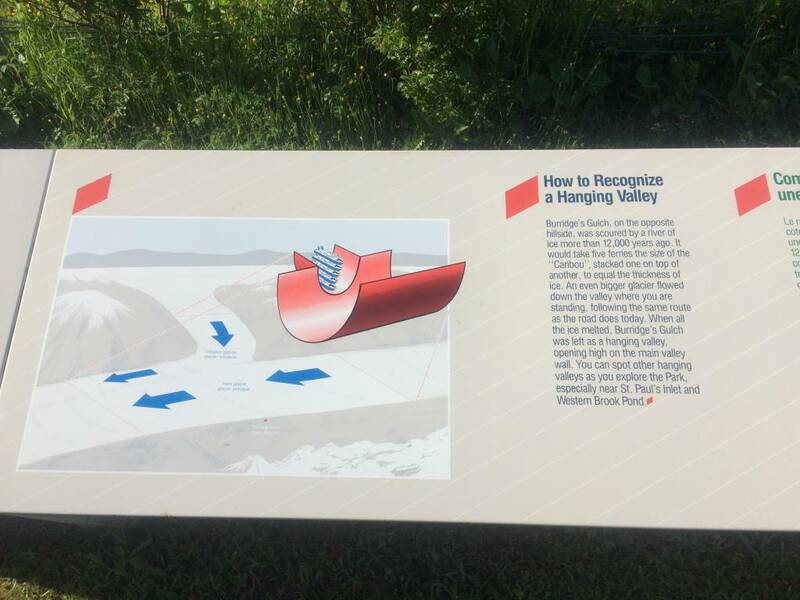 As he explained the Viking landings are not only a milestone for Europeans landing in the new world, its a significant event in the history of mankind. More like man landing in moon or man invented fire or wheel. Evolution and history proves humans originated in Africa thousands of years ago and moved to different continents. When Vikings landed in North America, it completes a circle because this is the first known event where humans who moved west (via Alaska/Siberia) the Native Americans and people who moved East who lived elsewhere in the world (Europe/Asia) finally made that long trip across the Atlantic and complete the circle of human movement. 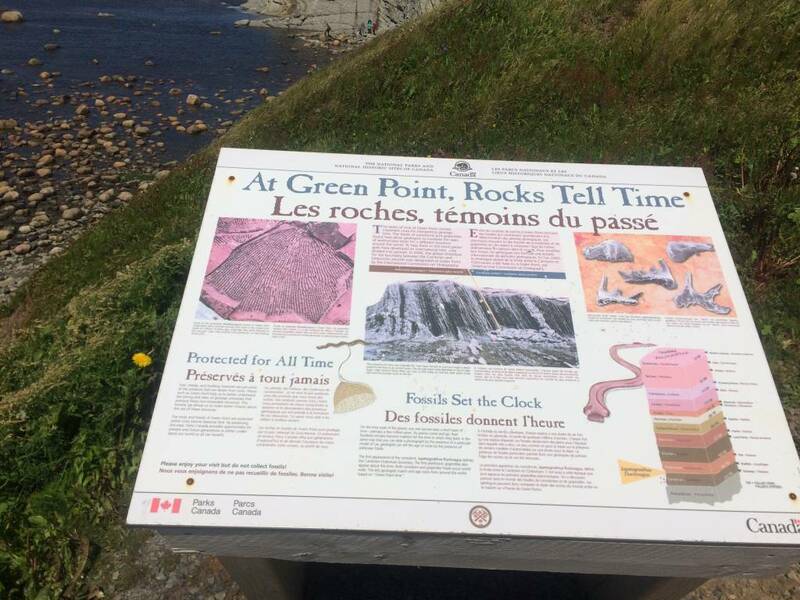 Green point is a geological and fossil site within Gros Morne national park. 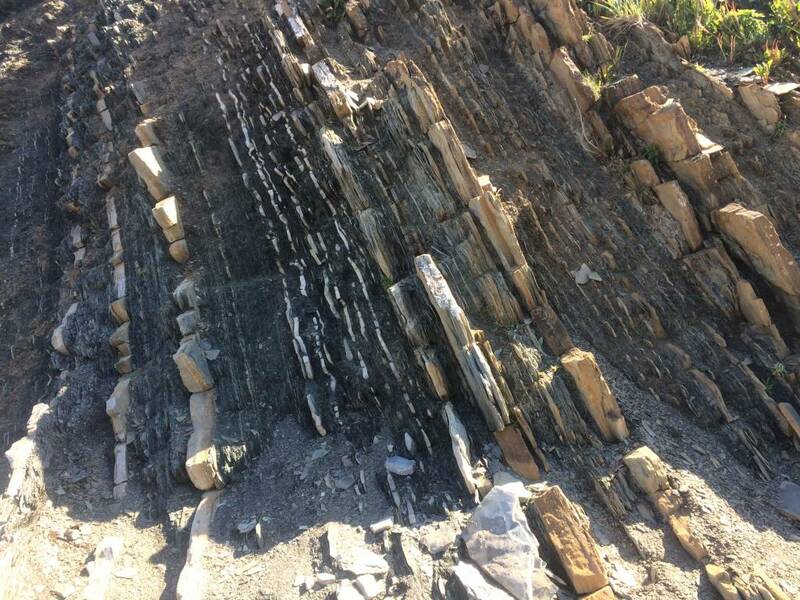 Green point was designated a Global Stratotype site representing the division between the Cambrian and the Ordovician geological periods. 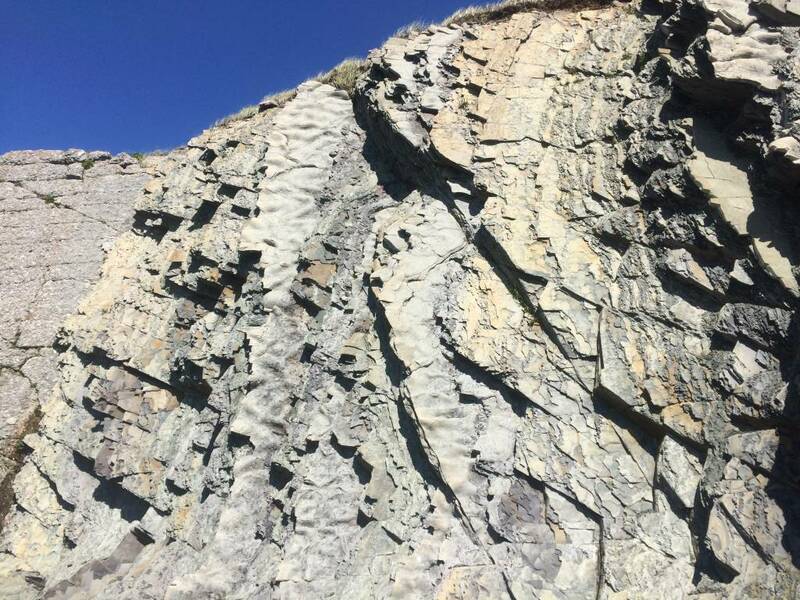 The rock cliffs in the coastline show rocks that formed over millions of years and fossils, soft-bodied animals that were 500 million year old. 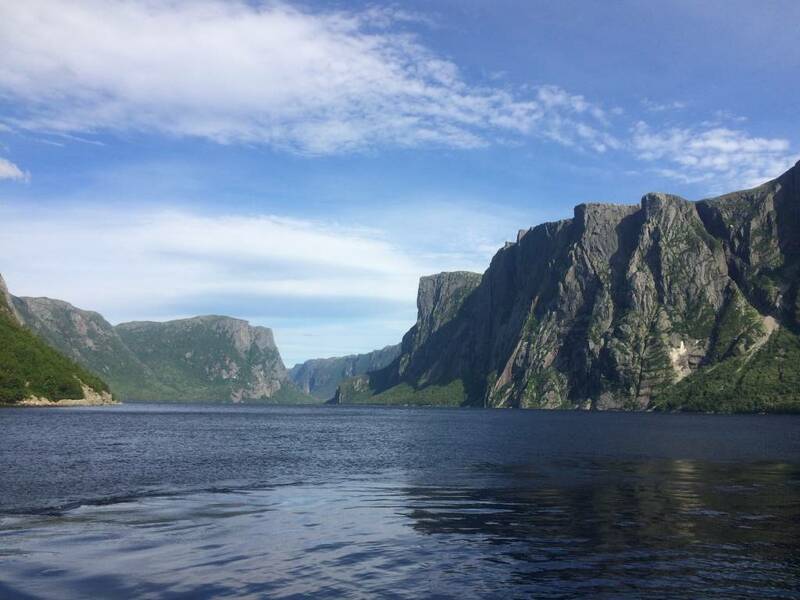 Western Brook Pond is a jewel of Gros Morne and it a fjord. There were glaciers which filled the fjord once and once the glaciers melted, the land rebounded and the fjord was cut off from the sea. Now the waters here are pristine and has very limited human interference. After a short 3km hike to the boat dock, the 2 hour boat tour takes us towards the end of the fjord and returns. The boat tour passes by multiple waterfalls, view points, sites of rock slides and broken cliffs. 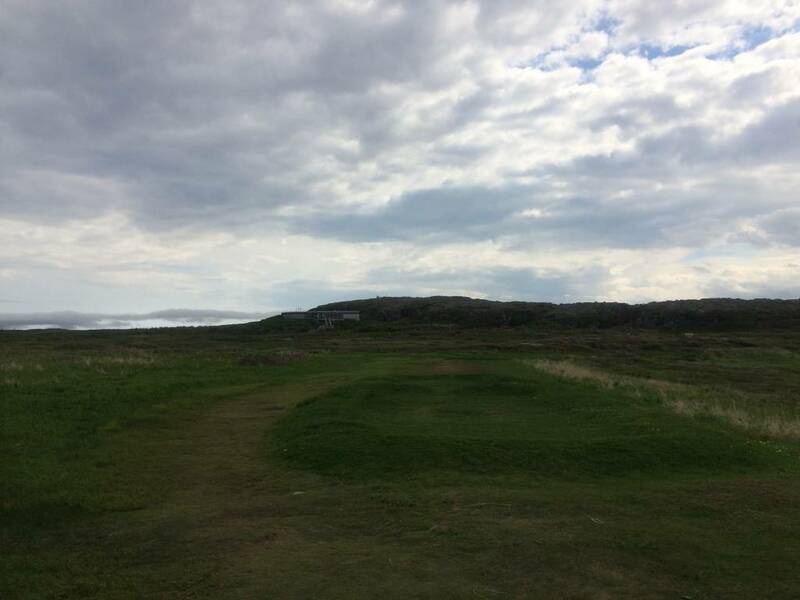 The image above is where the water from the pond drains into the Atlantic and its many miles away from the pond. 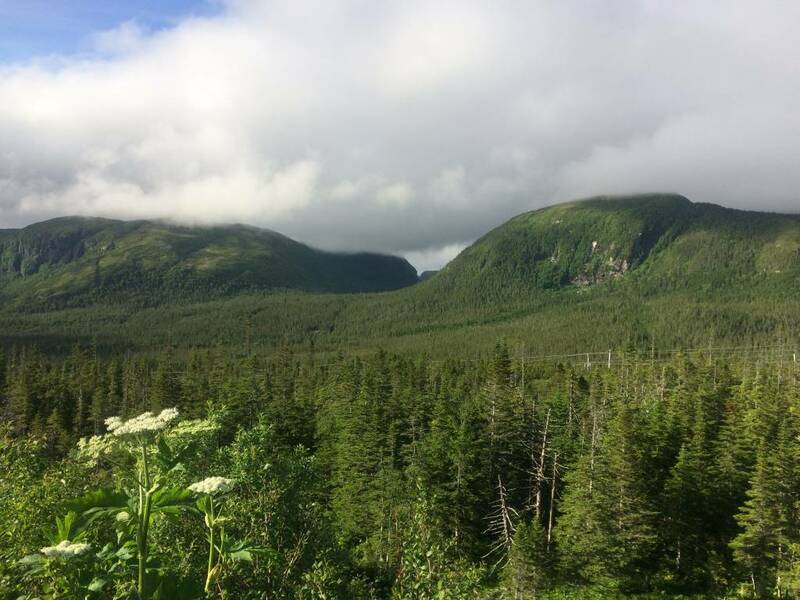 The Tablelands, look like a desert in the middle of lush green Gros Morne national park.This is due to the ultramafic rocks which makes up the Tablelands. 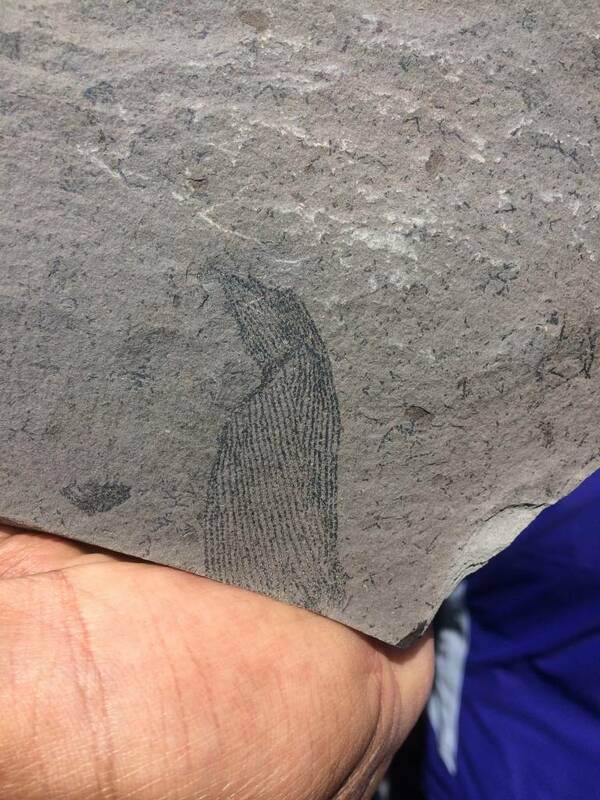 It is the Earth’s mantle and was forced up from the depths during a plate collision several hundred million years ago. Since the rocks are high in heavy metals, its not suitable for plant growth. So the mountains look like deserts without any plant life. After a short hike through the tablelands, we reach the canyon and a spring which flows through. 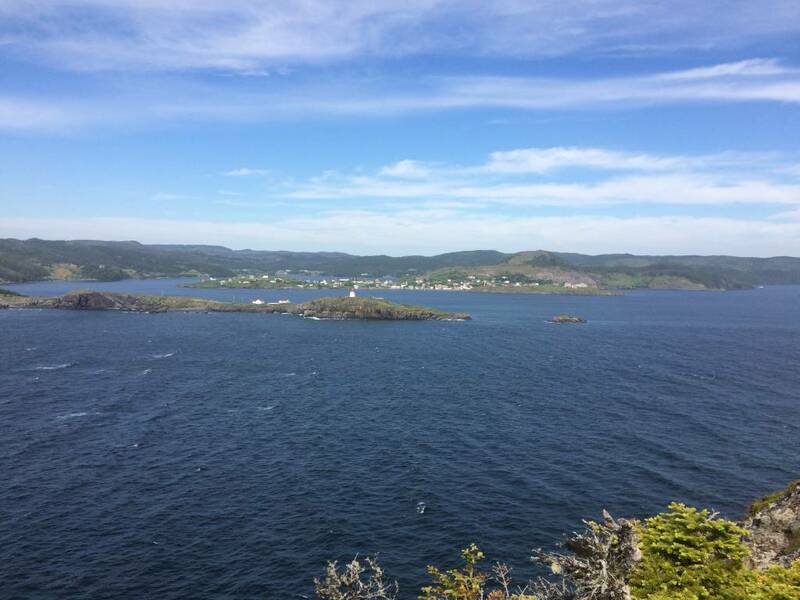 Bonne Bay Marine Station is a marine ecology research facility operated by the Memorial university of Newfoundland. 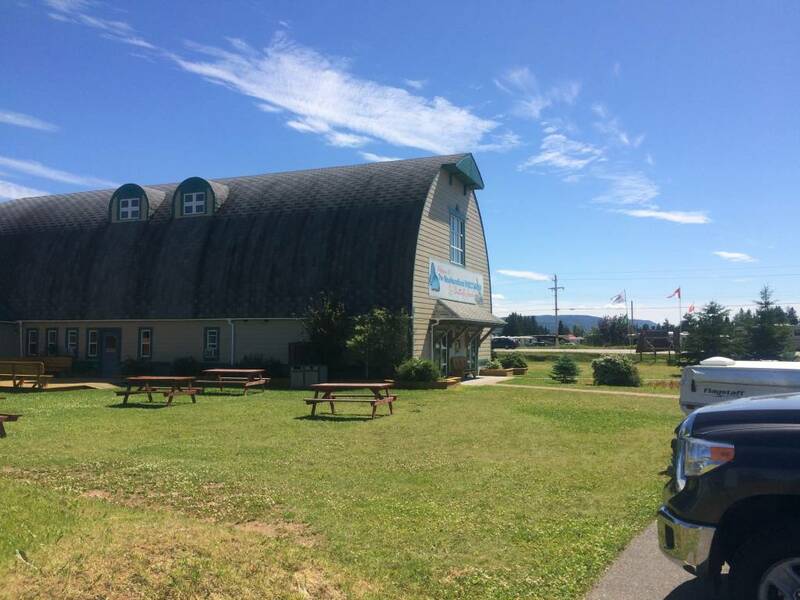 This facility has a spectacular aquariums/display of all marine life found in the Bay and also at the Gros Morne National park. The Steam Ship Ethie sank near the Bonne Bay and everyone on board was rescued. The remains of the shipwreck are found scattered around the shore, mostly rusted parts of the ships engine. The Lobster cove head lighthouse has a small coastal trial and the day I visited in the late evening just before the sunset, there was a small Native Indian festival and an elder from one of the First nations was present. He explained to the gathered group of people, the ancient traditions and spoke passionately about compassion, sharing and goodwill. All of us were given a vegetable salad and smoked/grilled salmon at this community dinner, sponsored by the First nation people. There were women and kids from the First nations who sang and had music instruments with them. I tried to go see the beautiful sunset which I was anticipating to see but the sun hid behind the clouds and just saw the reddish sunset behind the clouds. 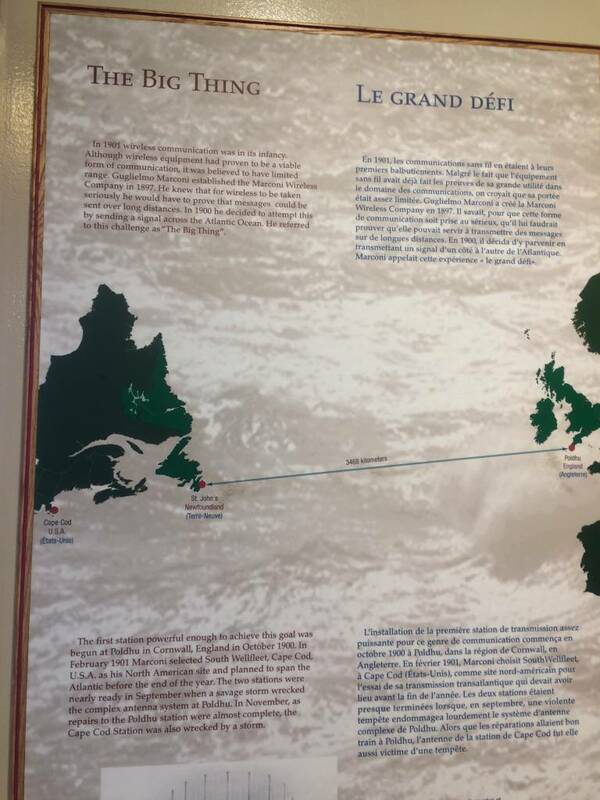 The Mikmaq museum is in St. George’s, NL and the museum shows the cultural journey highlighting the arrival of the Mi’kmaq people to K’Taqmkuk (Newfoundland). There were artifacts and information plaques that explained the struggle they faced when the European settlers came to Newfoundland. 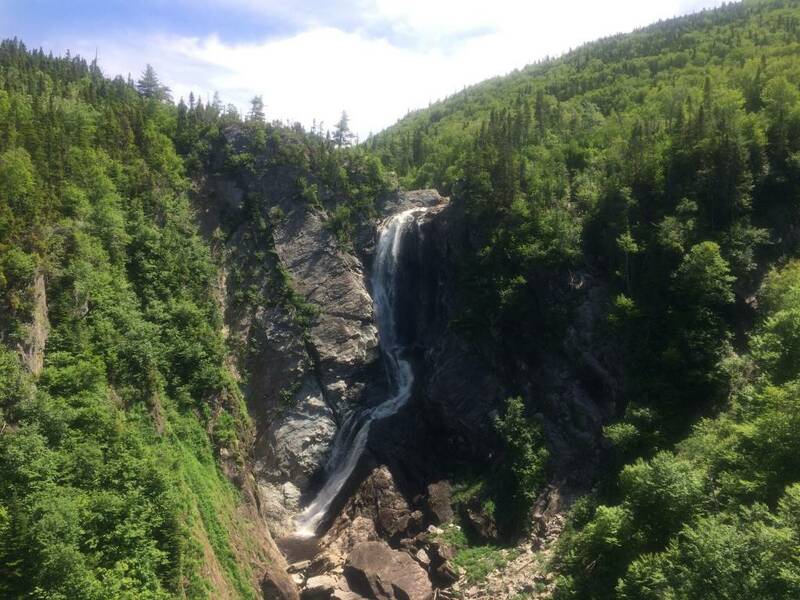 The steady brook falls was a beautiful spot after a short hike and across the falls, we can see Zip lines and people enjoying the Zipline adventure. Stephenville, a nearby city which I passed by on the way had street names named after US states and cities. 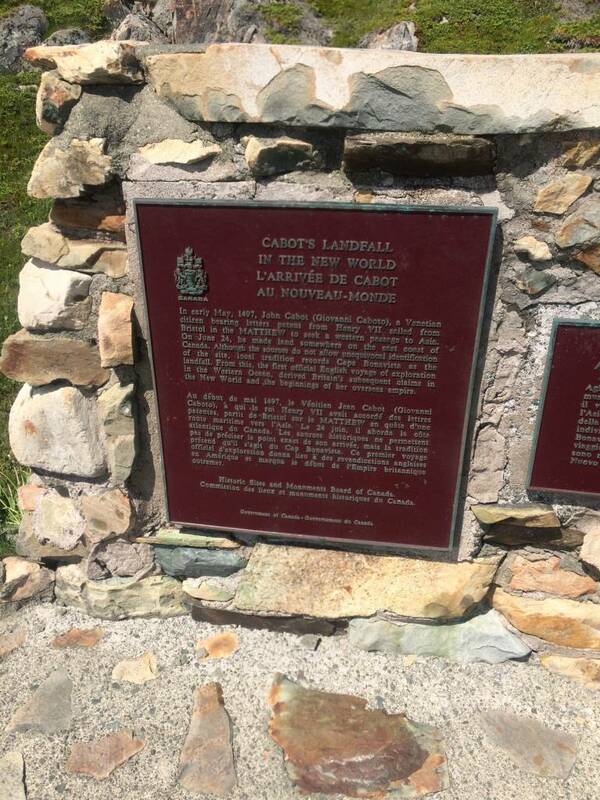 I learnt the reason because Stephenville was a US airbase during the WW2. Moose is not native to Newfoundland but was brought from Labrador. Now Moose has become an invasive species and there are more than a 100,000 animals. Caribou are native to Newfoundland. Both Moose and Caribou are found across the island. 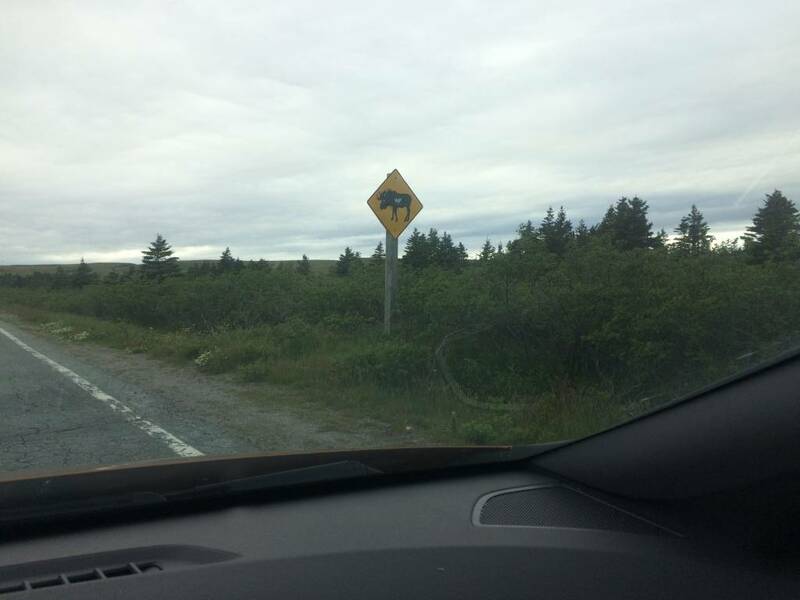 There are signs along the highways advising Moose crossings. I was able to see a moose only once along the road near Placentia, NL. There are a lot of trails, loops and lookouts which are scenic, coastal and mind blowing. Icebergs are seen along most of the coastal drives. Puffins is the provincial bird and can be seen from most of the coastal cliffs along with Pitcher plants which is the provincial plant. If I plan my trip again to Newfoundland, I will visit these places which I didnt visit in this trip. Parks Canada, the federal agency that manages parks has highly skilled interpretation guides who were highly knowledgeable about the sites and were very helpful in explaining things to the visitors (In French also if we had francophones in our group). 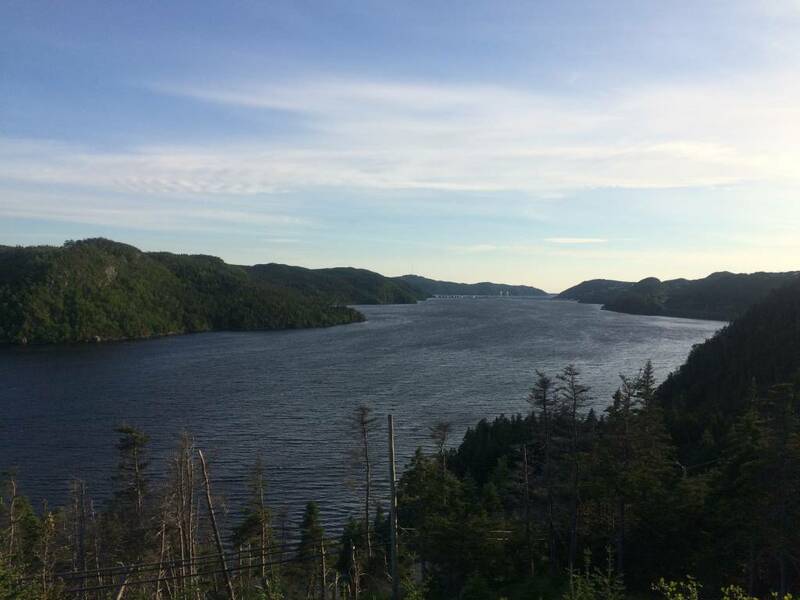 The island of Newfoundland being the very first province I have traveled extensively outside Ontario has changed my perspective about Canada. The people who call this place home were so warm and friendly, I could feel the welcoming attitude everywhere I went to. Having spent two weeks from coast to coast, there isn’t a better immersive experience I might have hoped for. Historically significance has made this place more interesting, currently the economy is primarily based on fisheries, oil & gas along with tourism playing a vital role. I could see people were more relaxed, they enjoyed being in the small communities and the beautiful views from any house in any village obviously made them more attached. 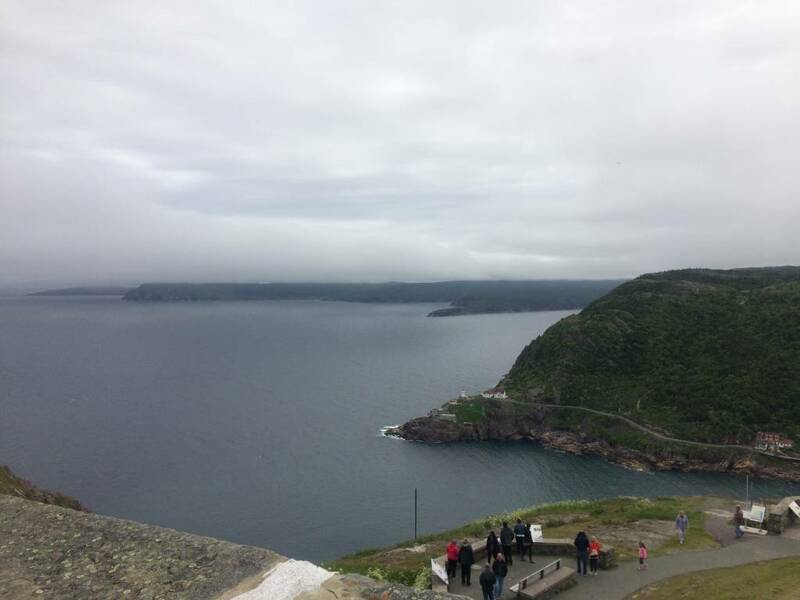 There were few accents native to Newfoundland and a gentleman I spoke to said Newfoundlanders always understood all the accents from the island and only others had difficulty understanding some of them. 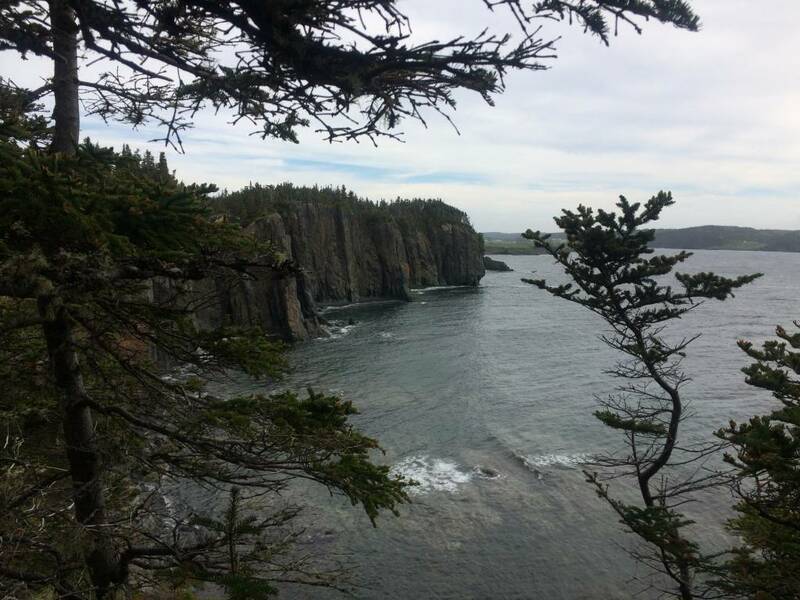 Newfoundlanders had their fisheries taken from them, the land is mostly treed forests and not suitable for large scale agriculture. 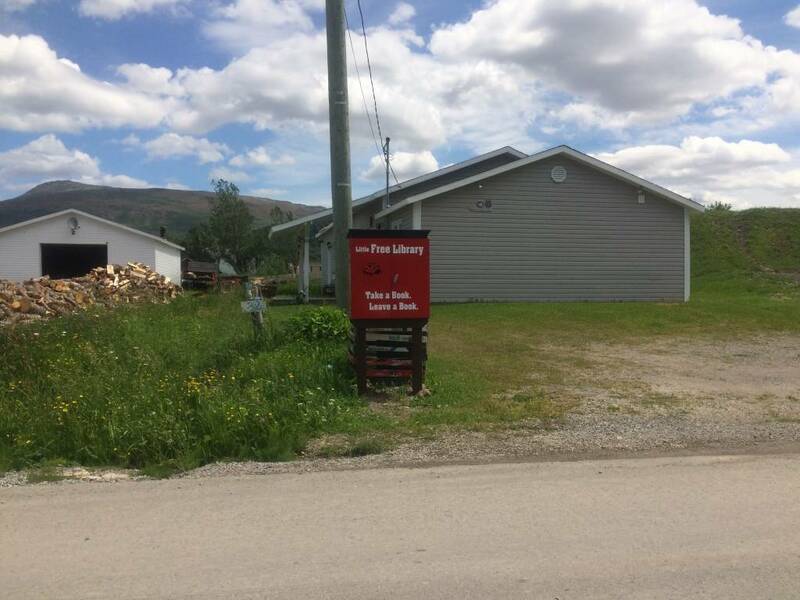 The province also has a declining population, after confederation, the provincial government resettled people so that government services can be effective. Fishing industry has lobsters seasons and then they have quotas to define and limit how much other fishes can be caught. People in Newfoundland are more happier than people I saw in other big cities I lived in. I guess because they live within their means and being in small communities bring in the social feeling, helping each other attitude. Happiness is very difficult to define and it is more personalized and individualistic. 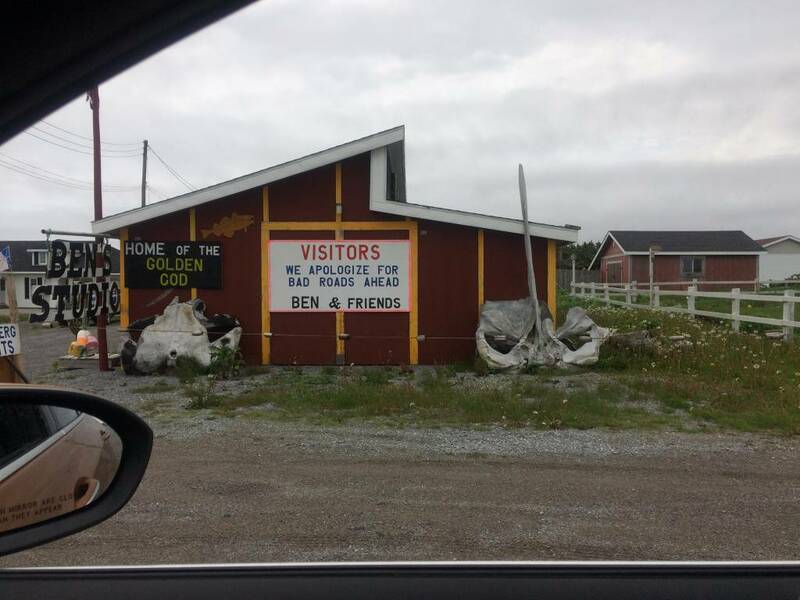 No doubt Newfoundland is a happy, scenic and an inspirational place.